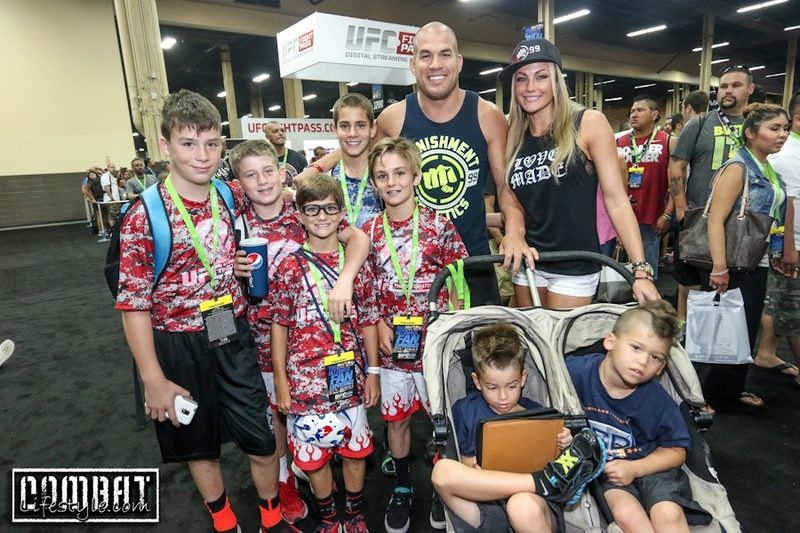 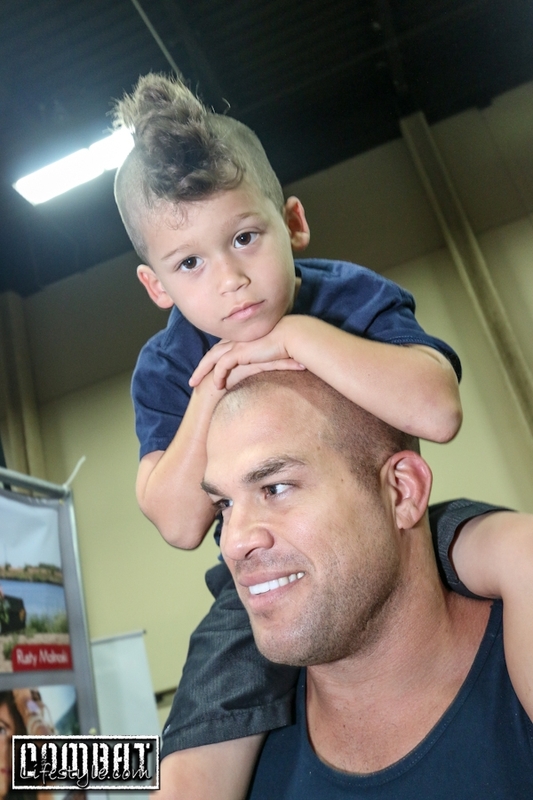 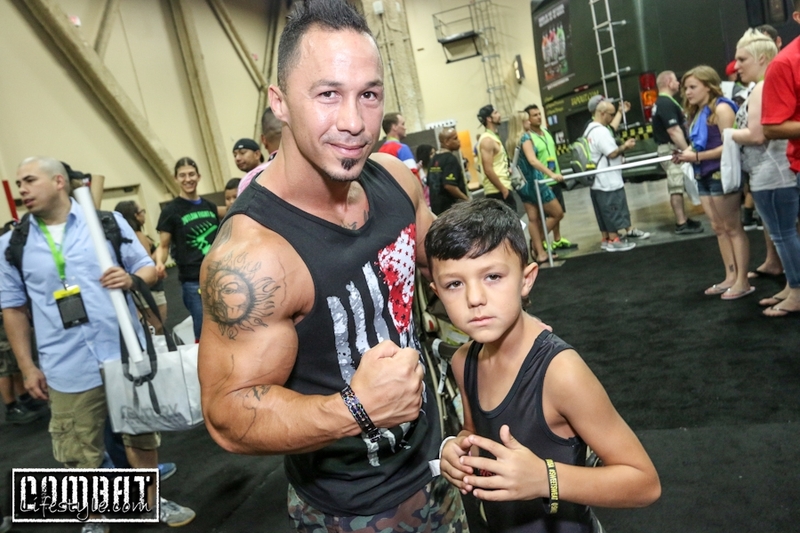 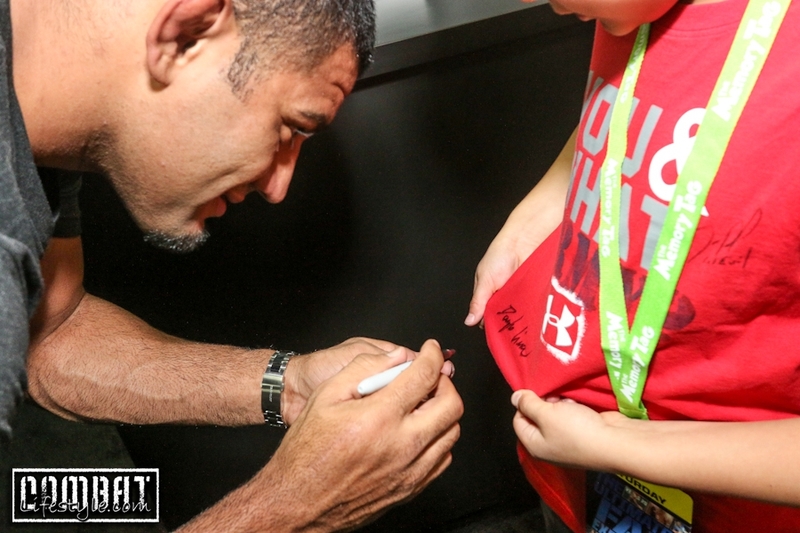 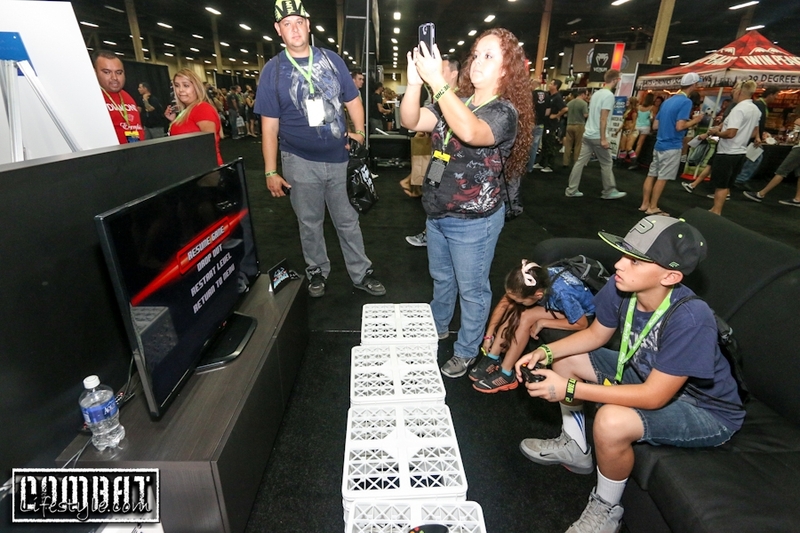 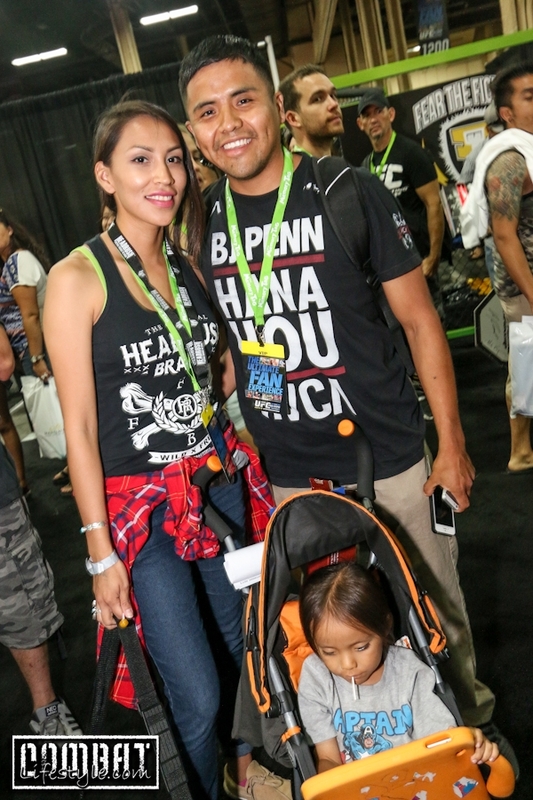 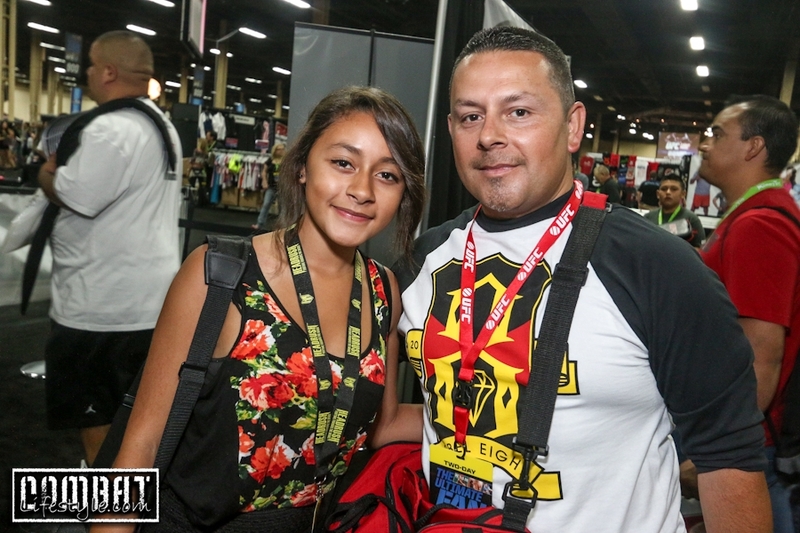 Home / UFC / 175 / UFC Fan Expo 2014 Pics Day 1! 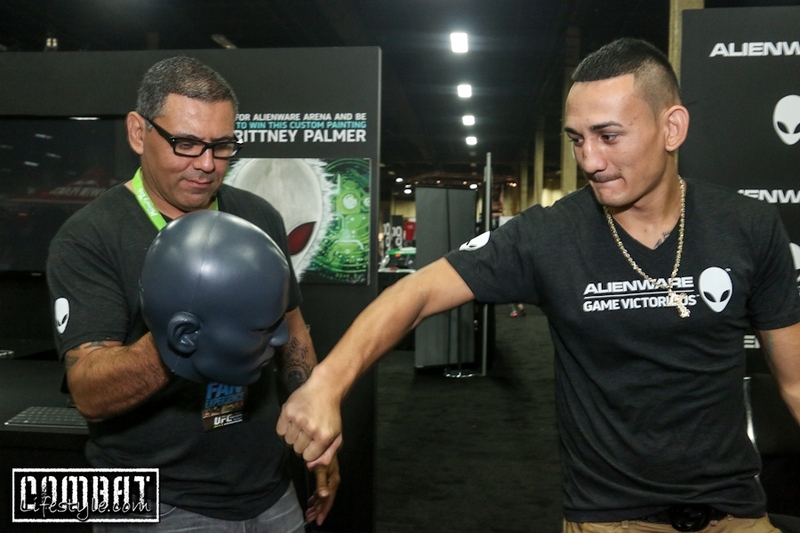 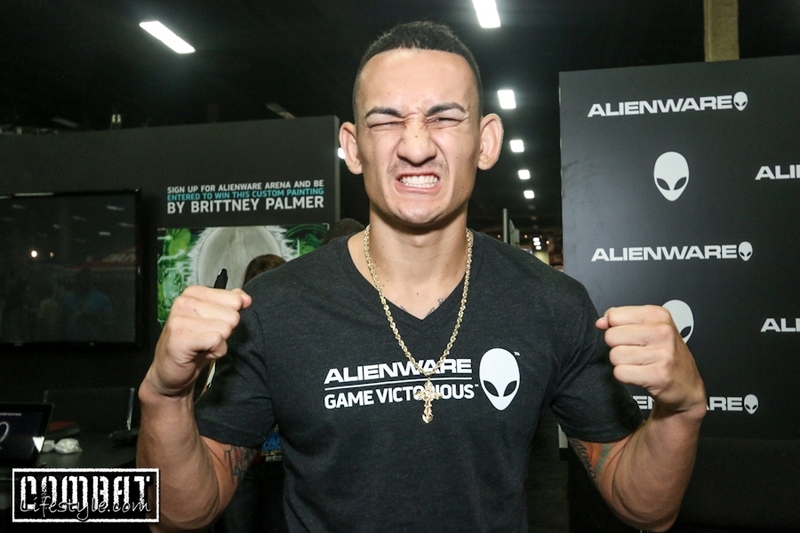 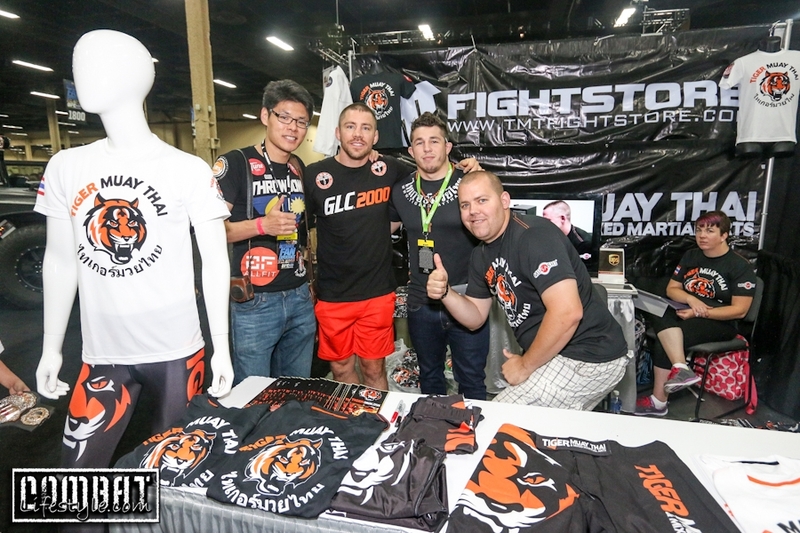 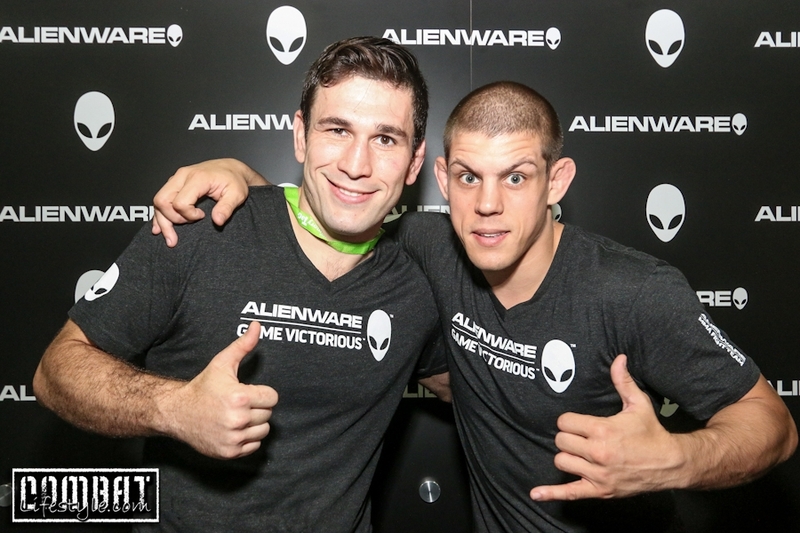 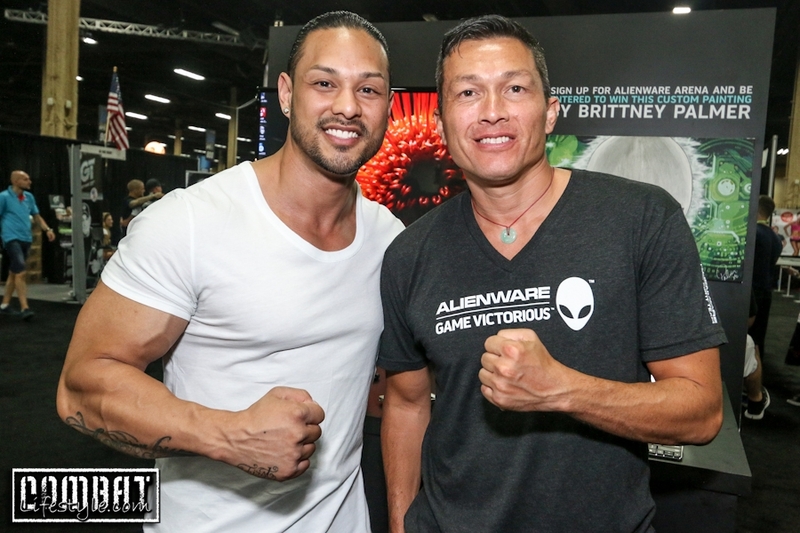 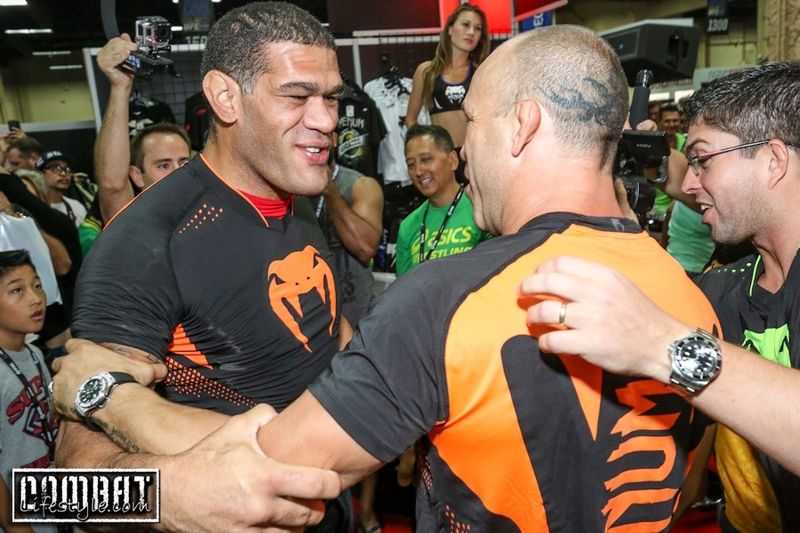 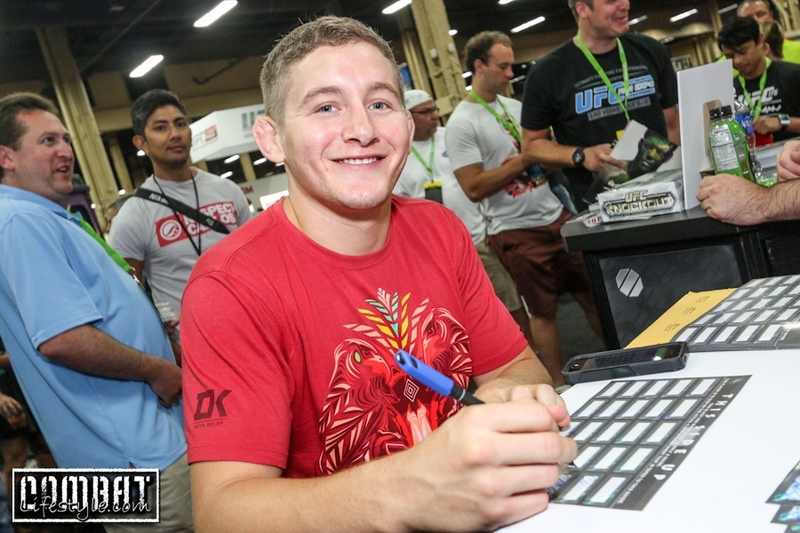 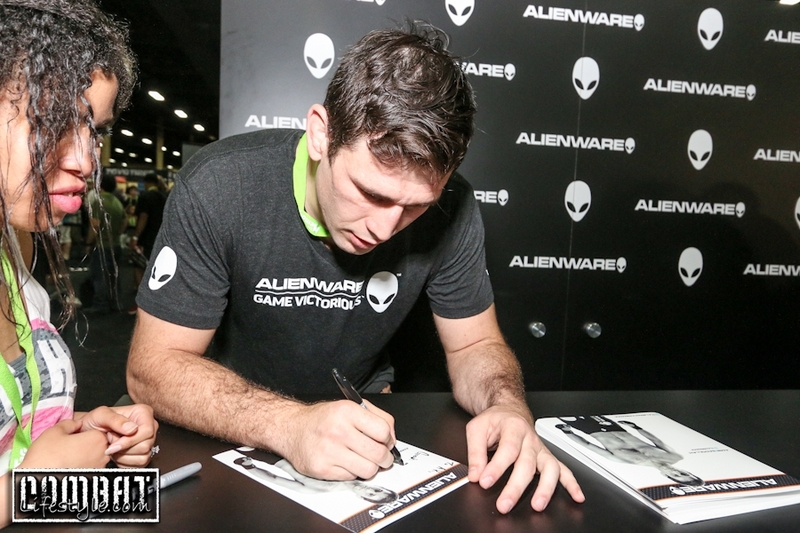 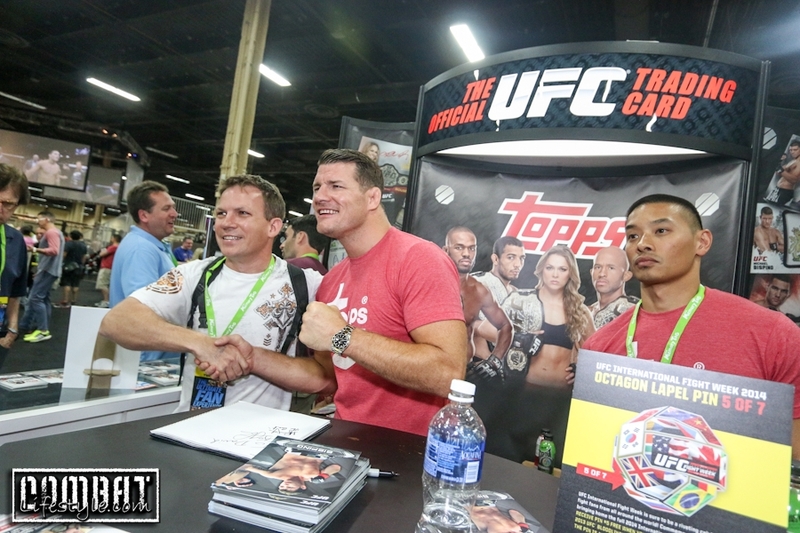 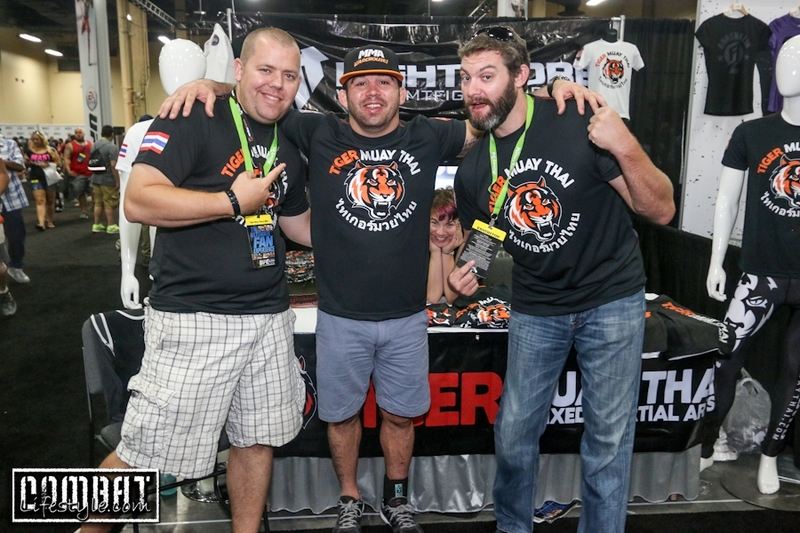 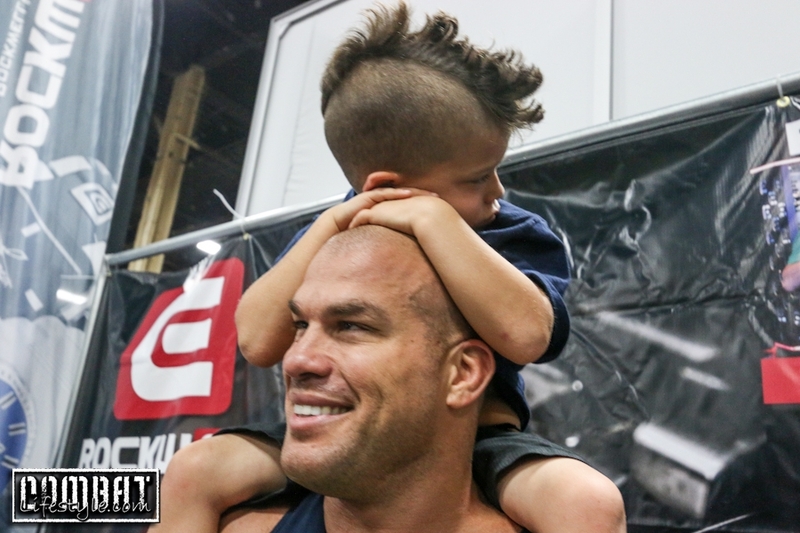 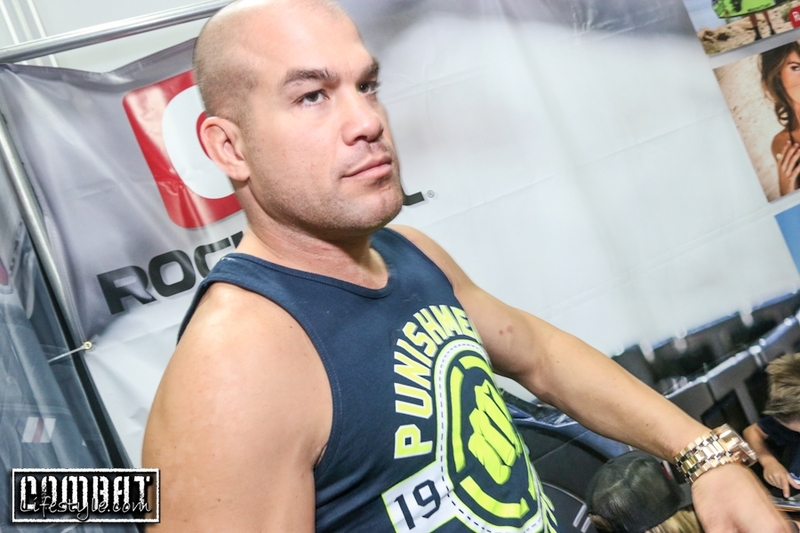 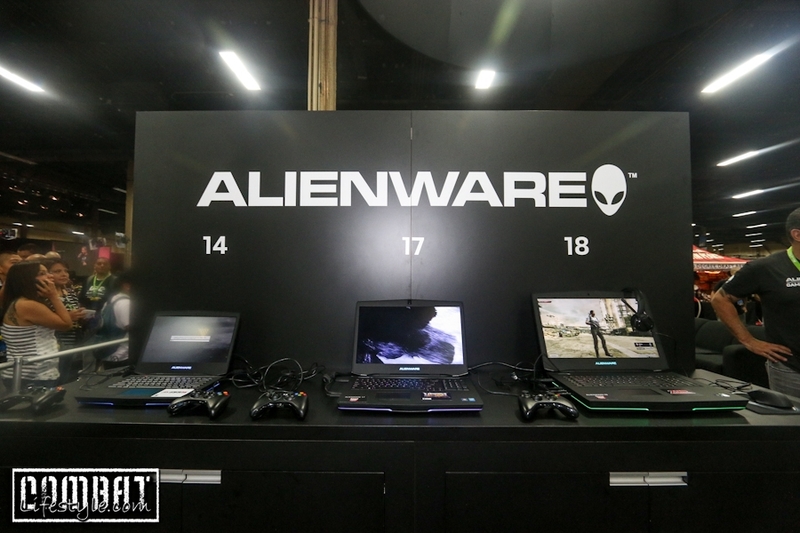 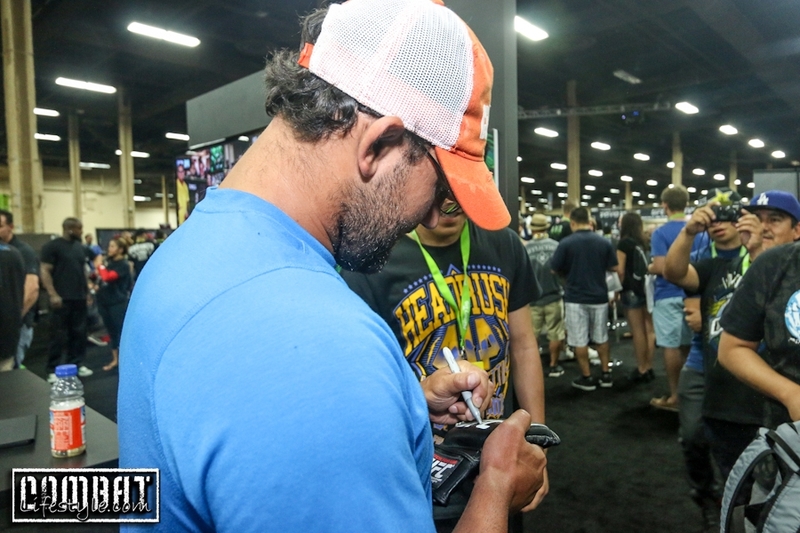 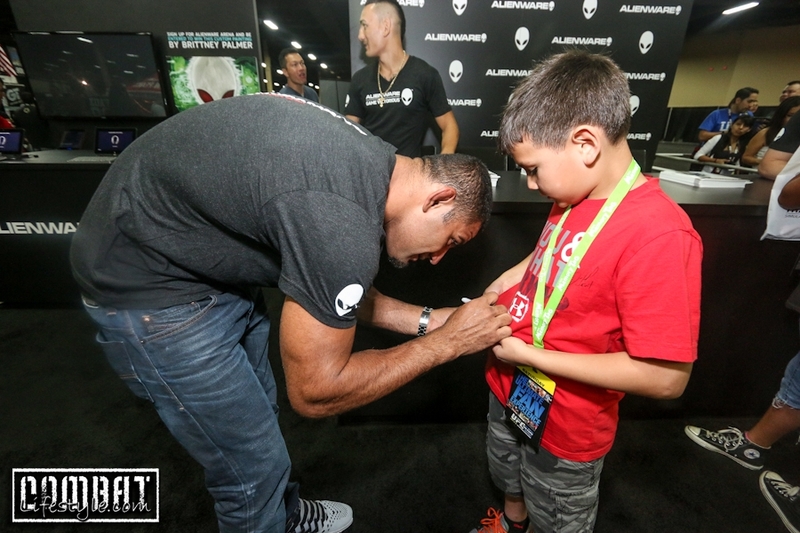 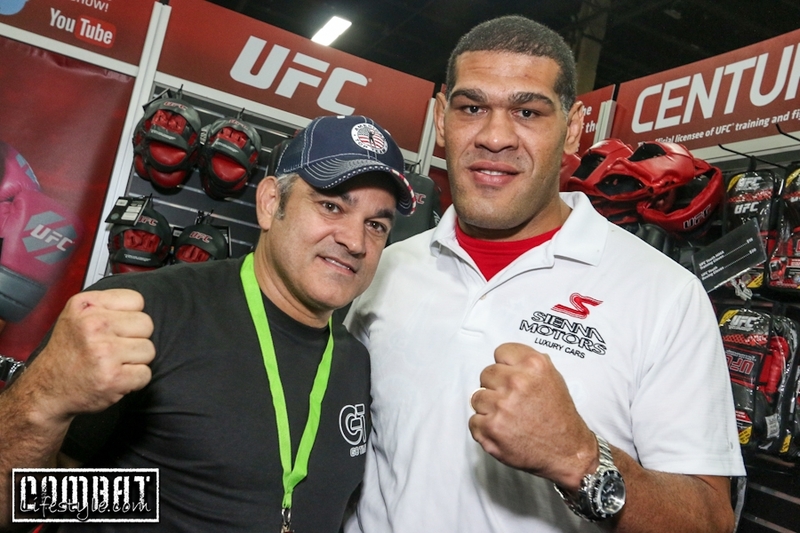 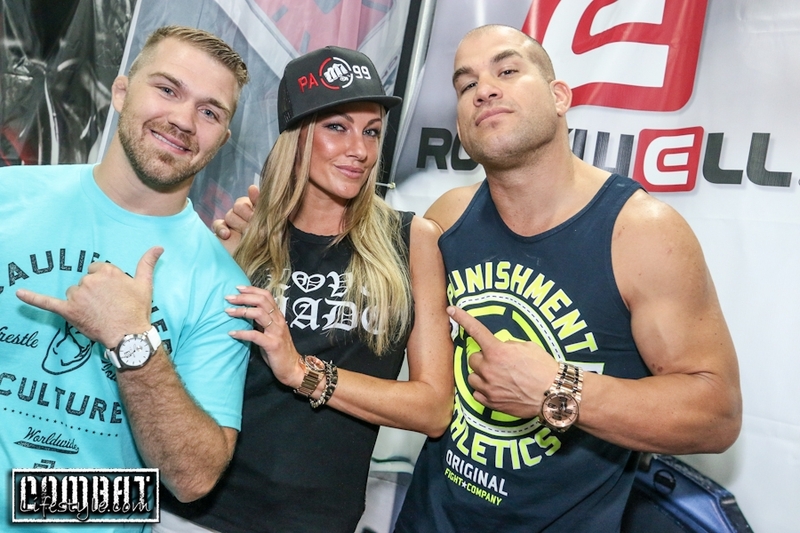 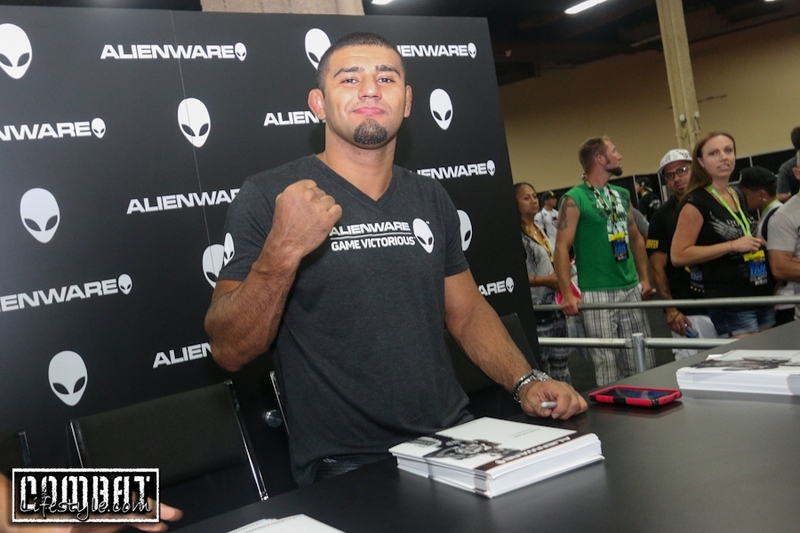 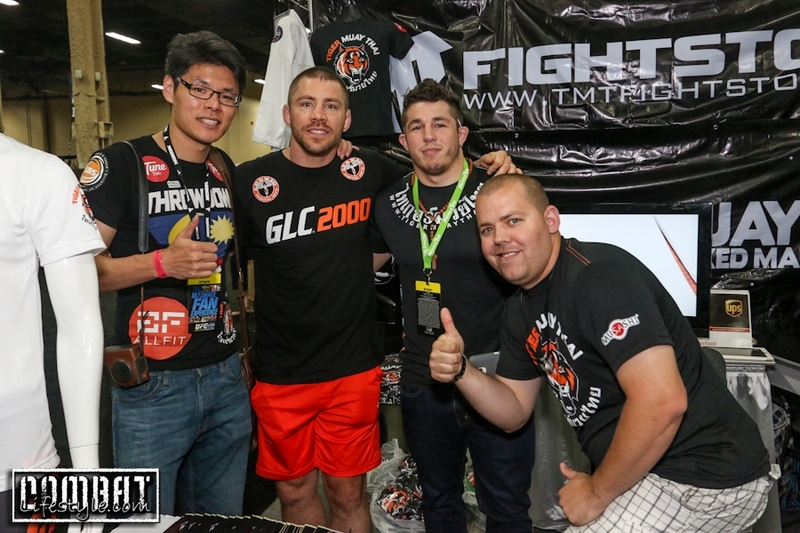 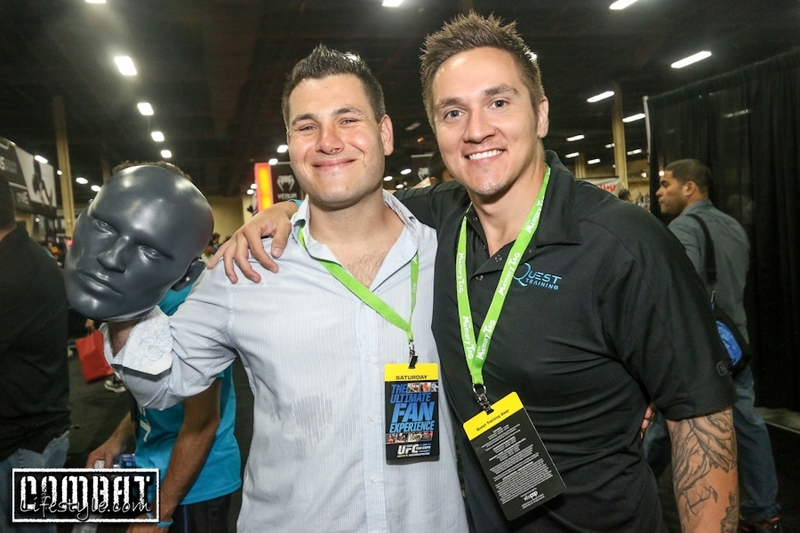 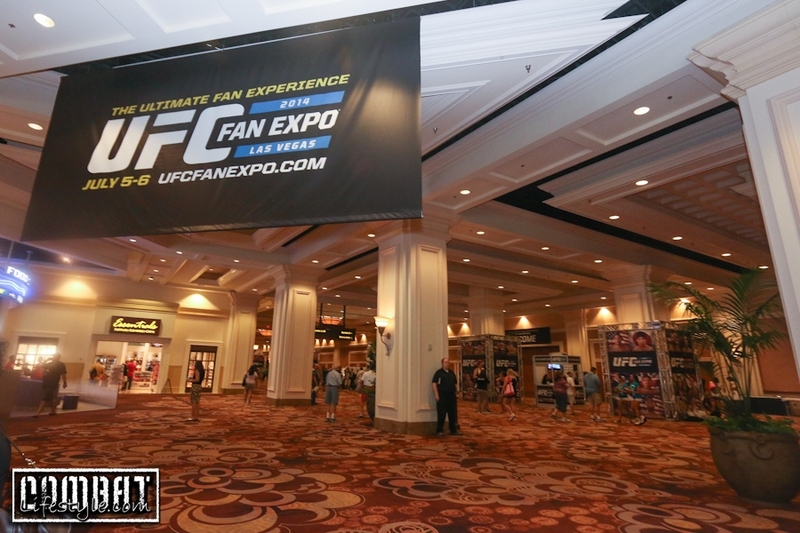 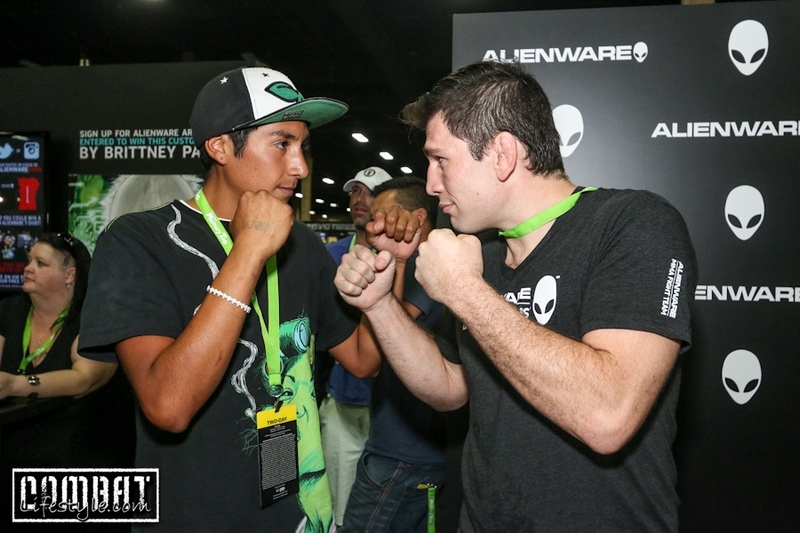 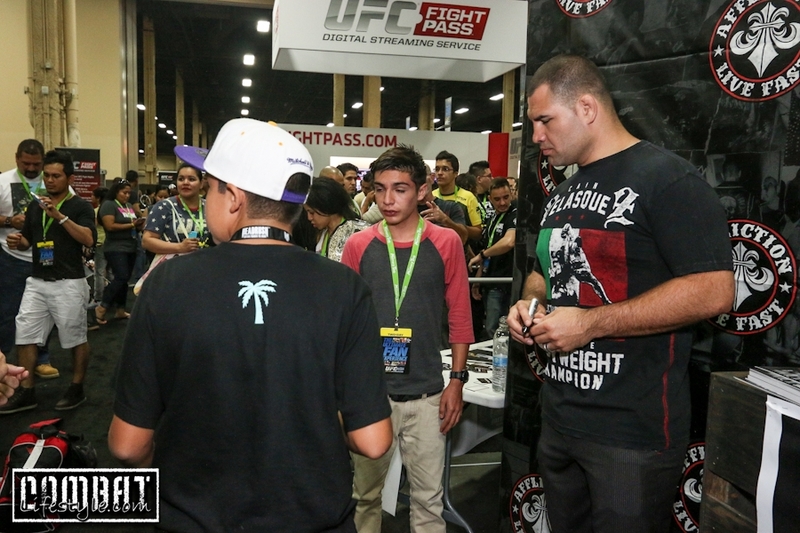 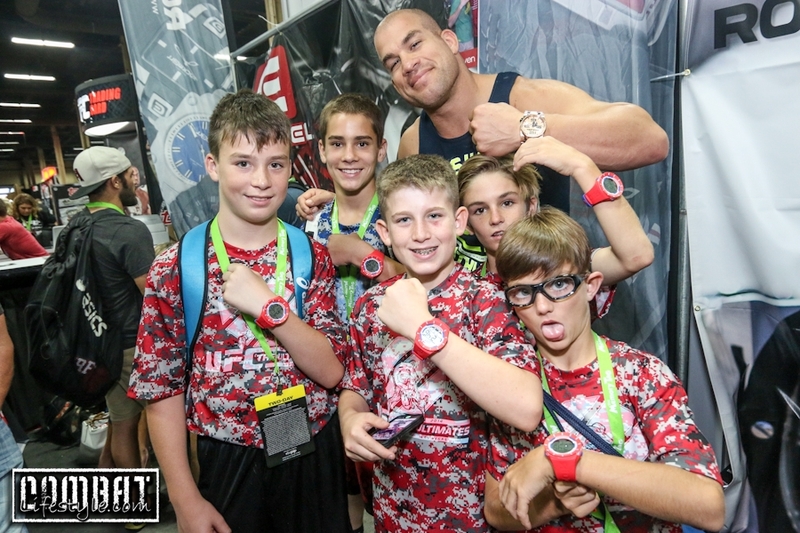 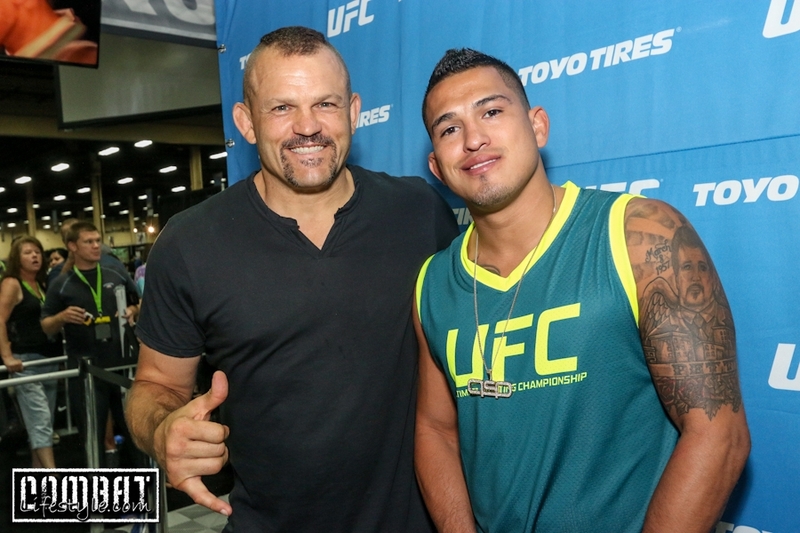 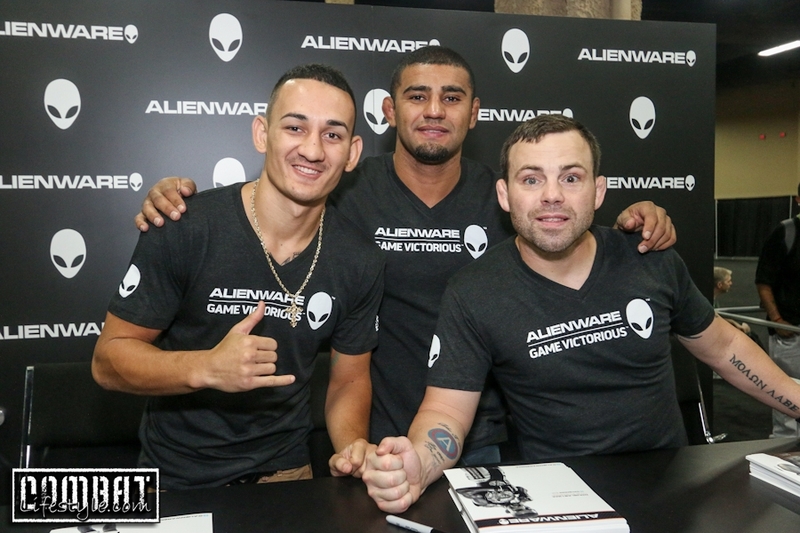 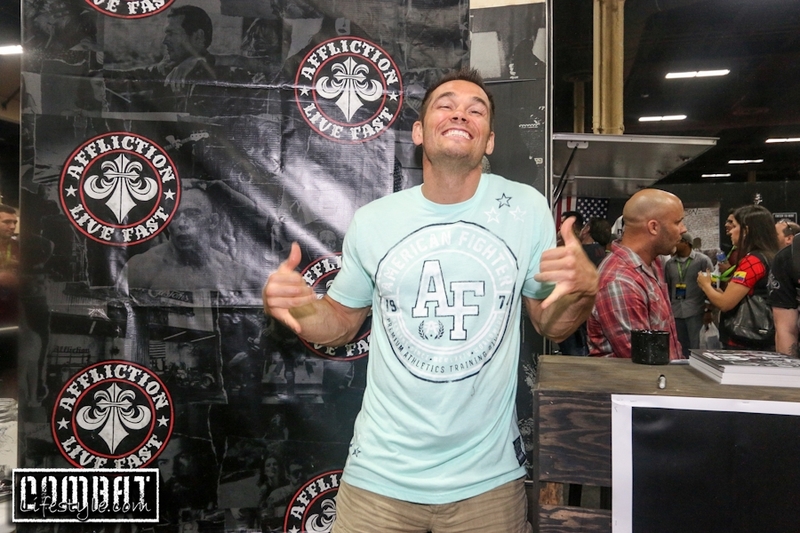 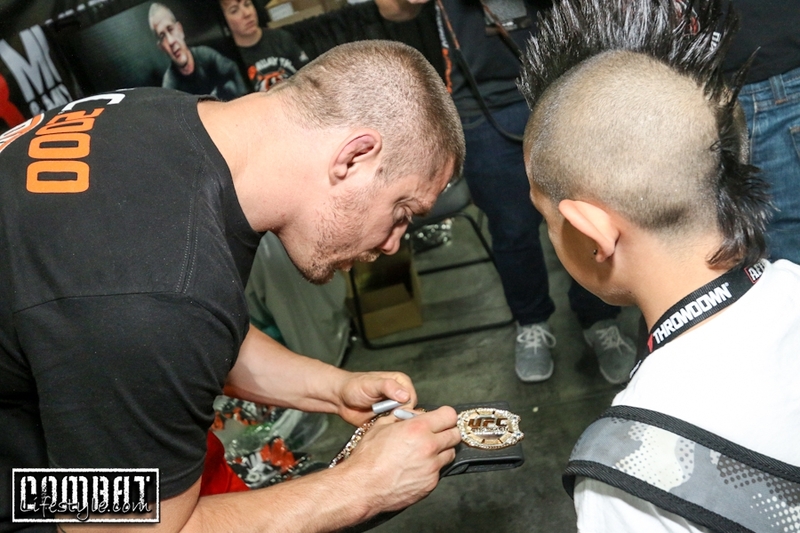 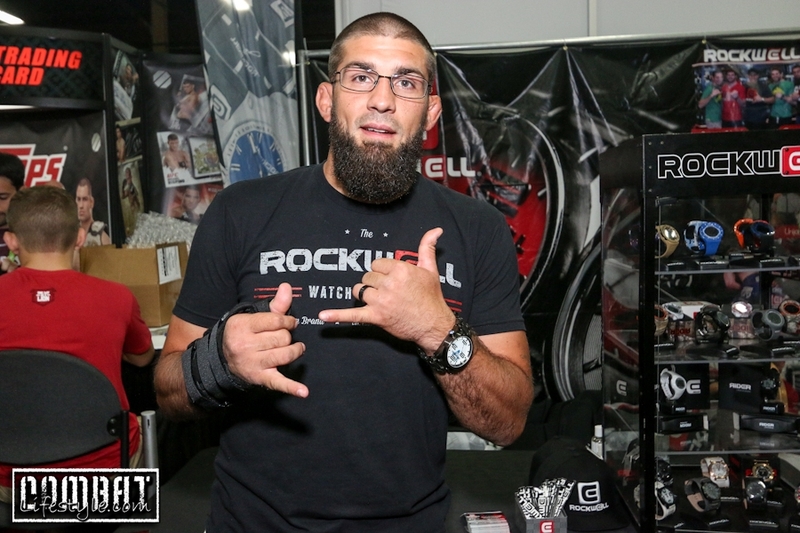 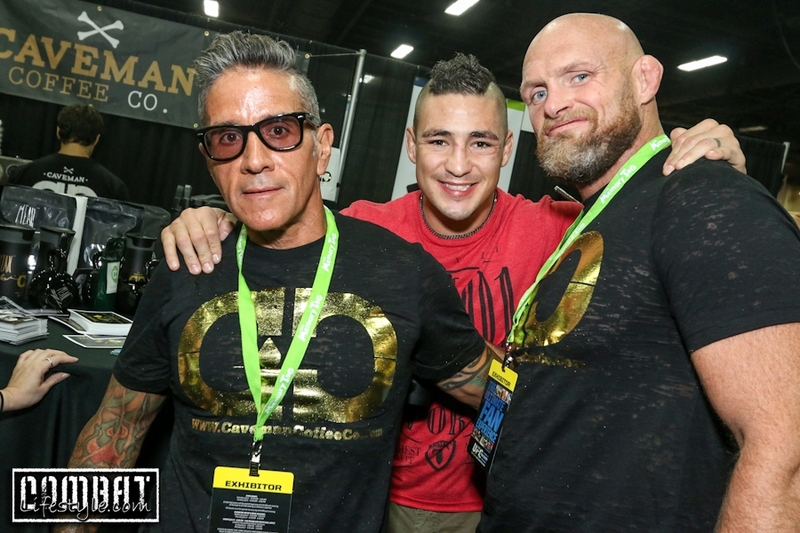 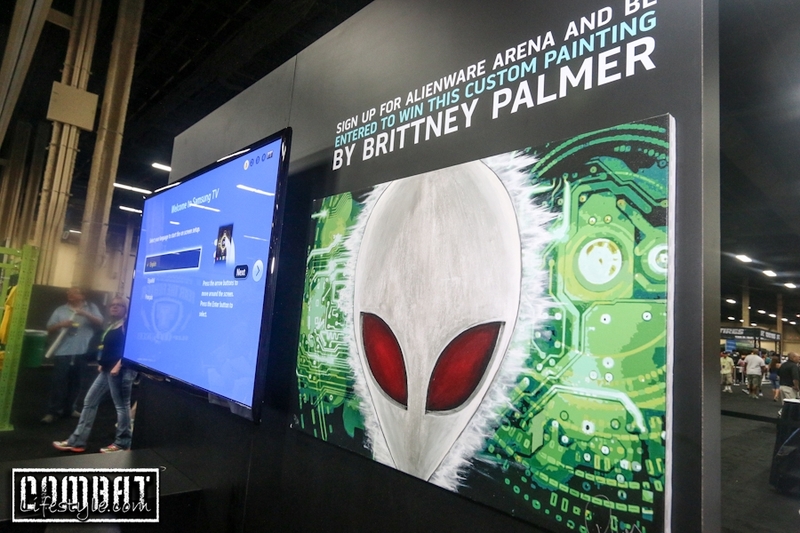 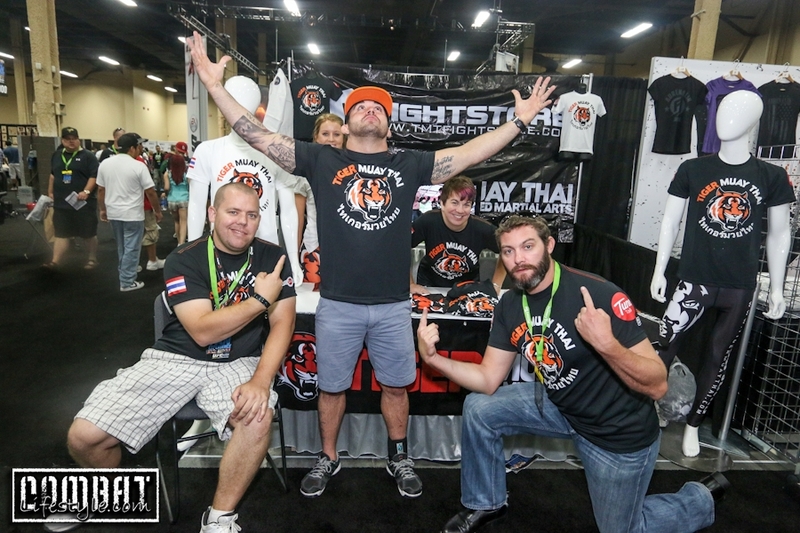 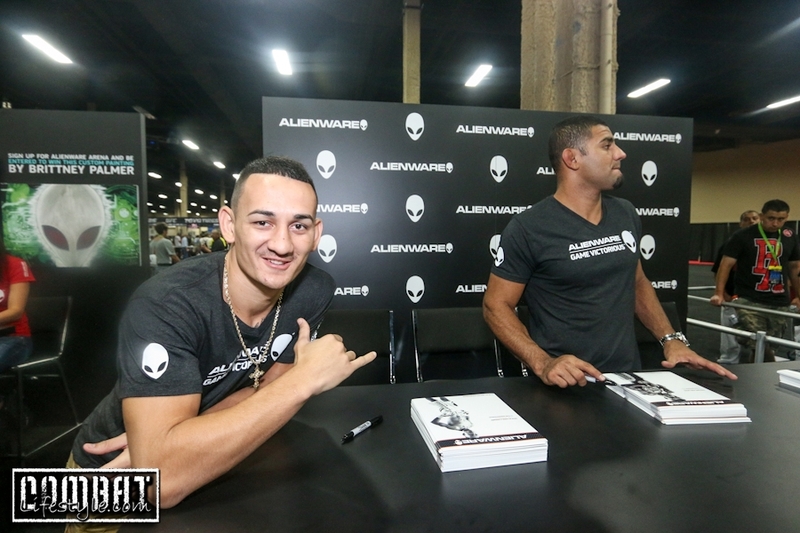 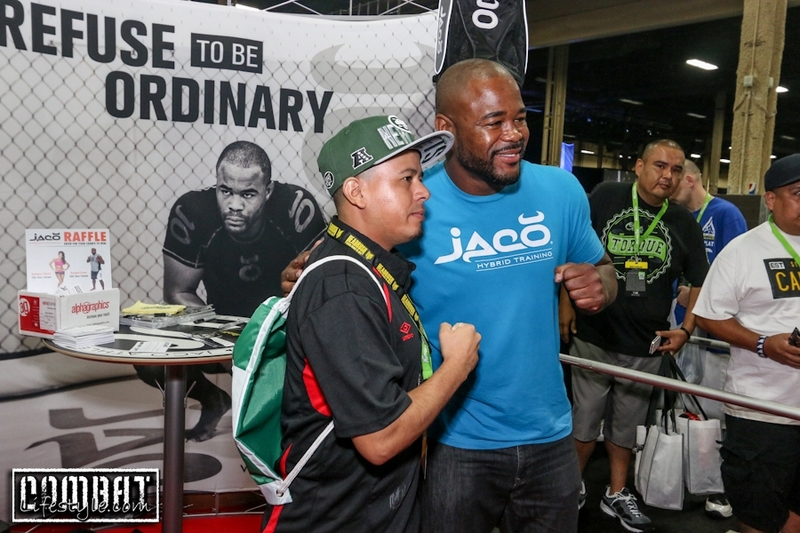 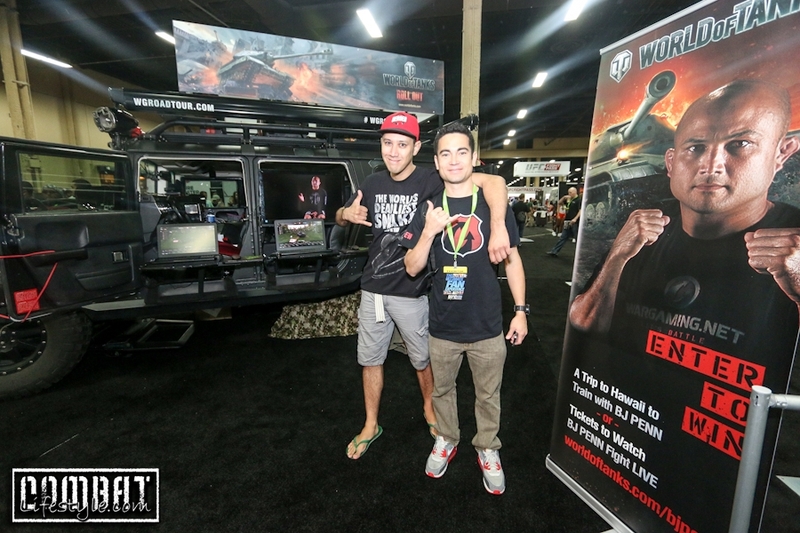 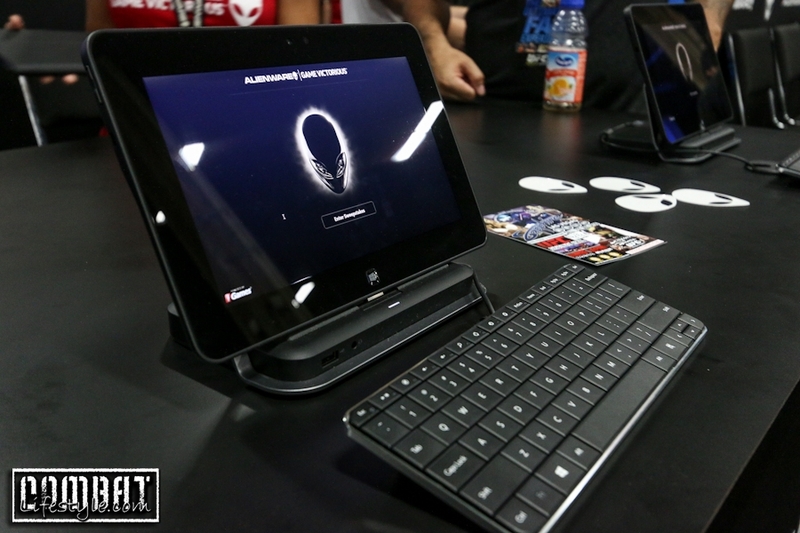 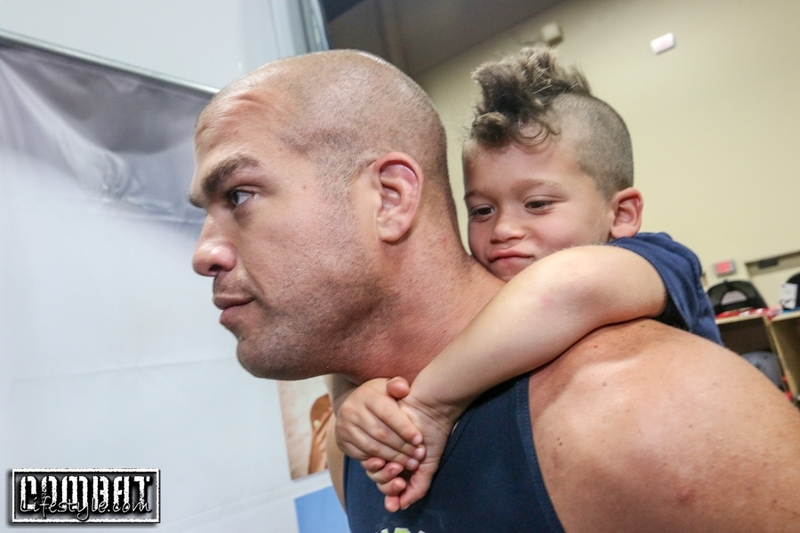 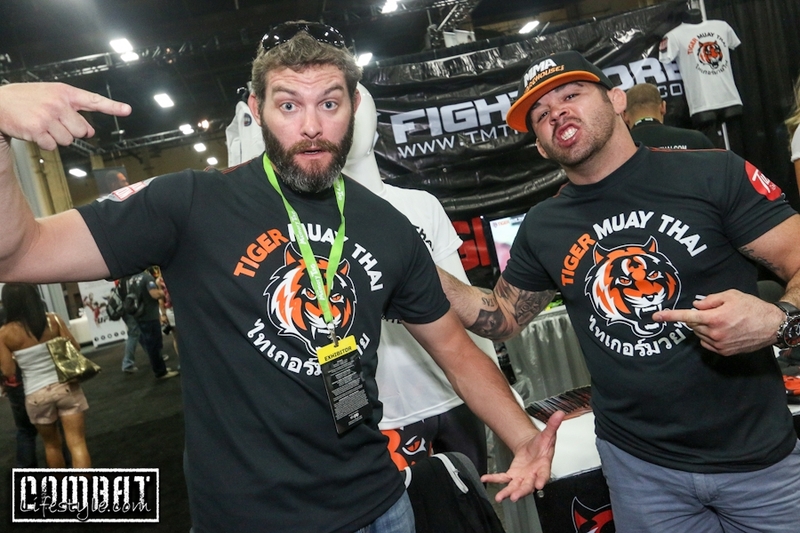 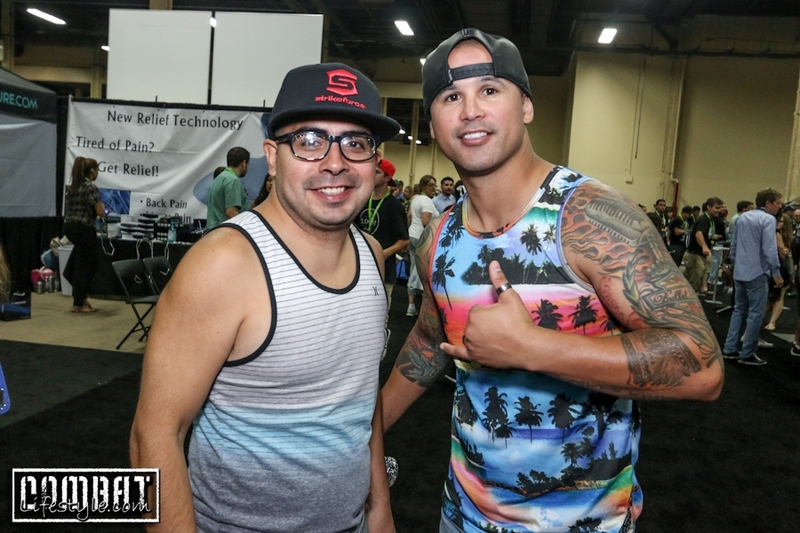 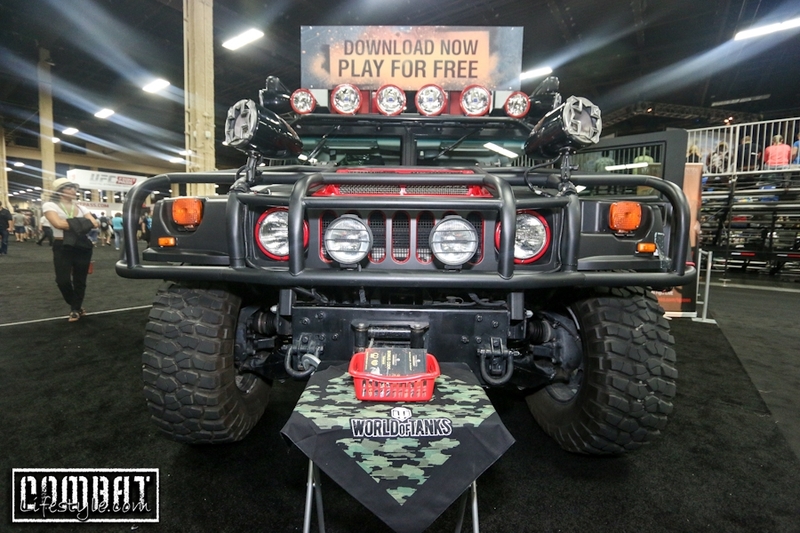 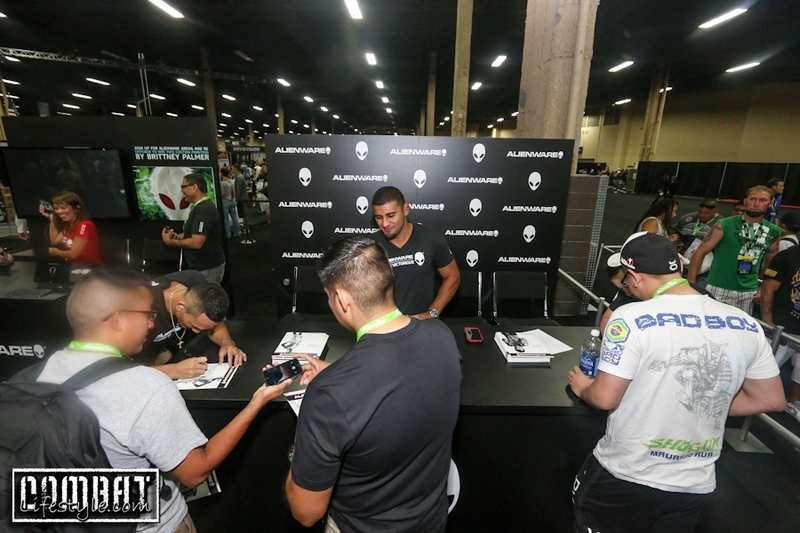 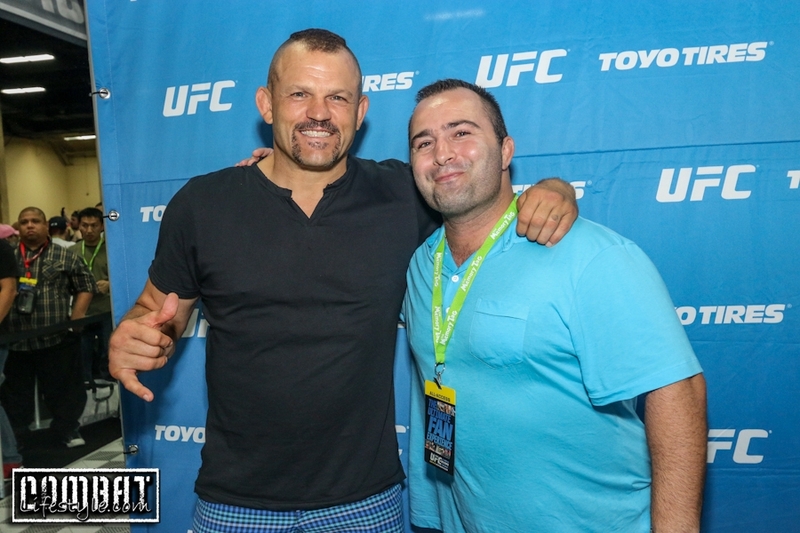 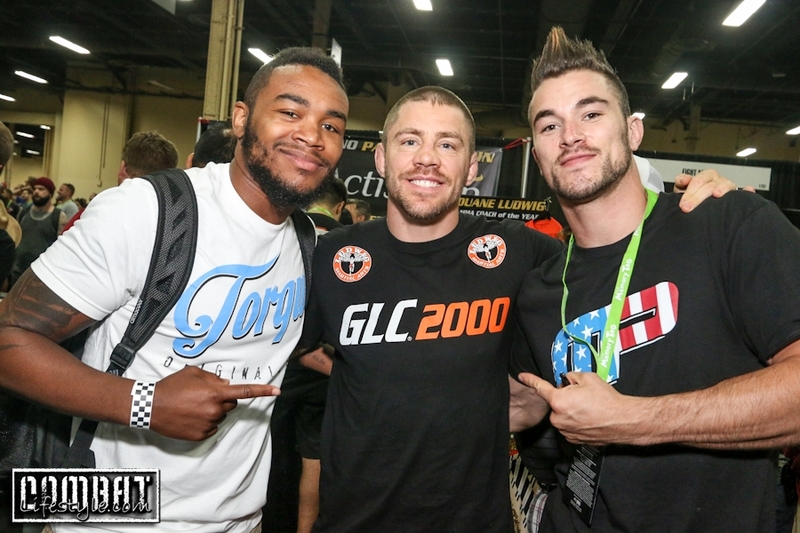 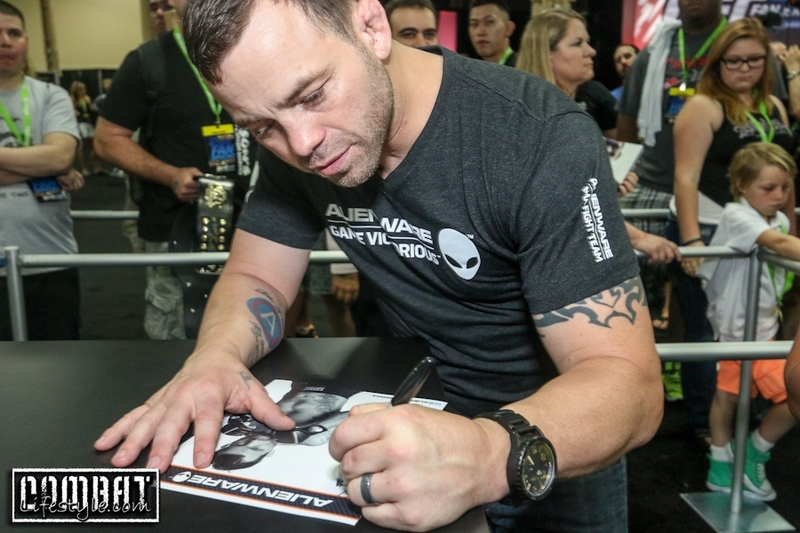 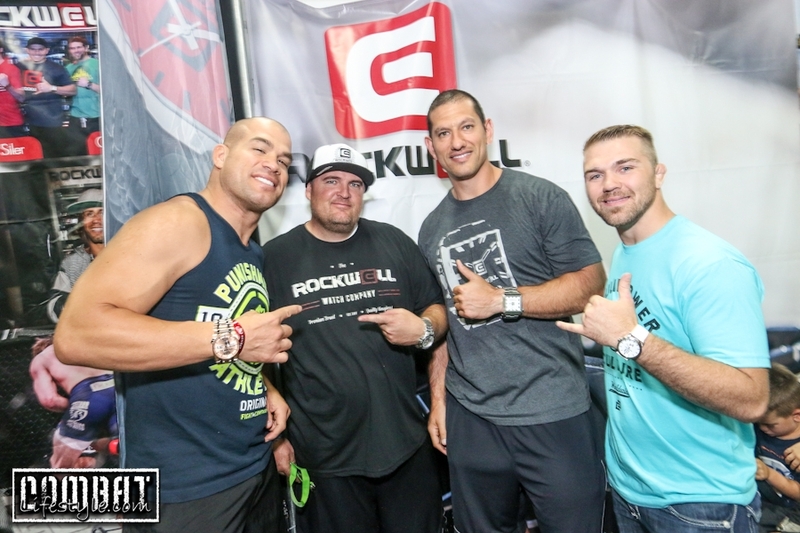 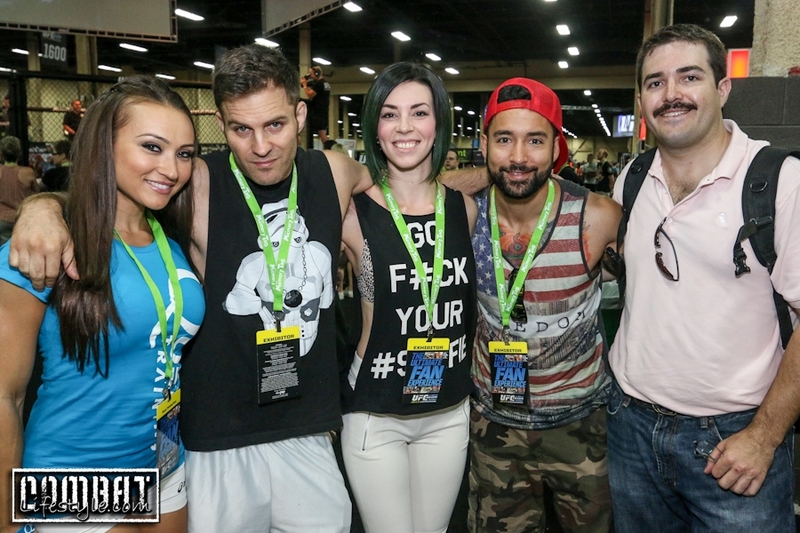 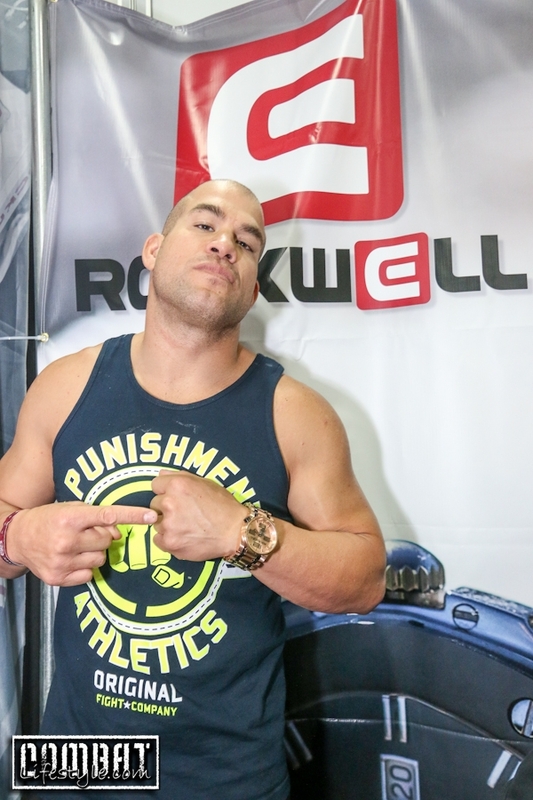 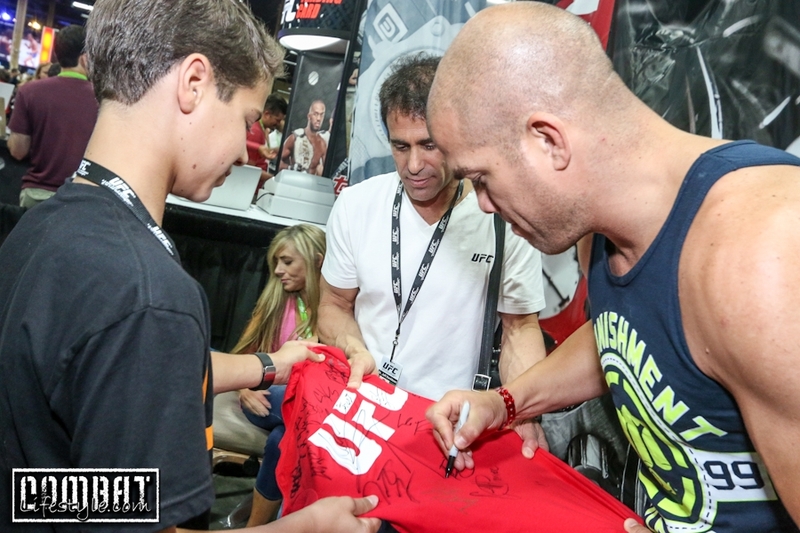 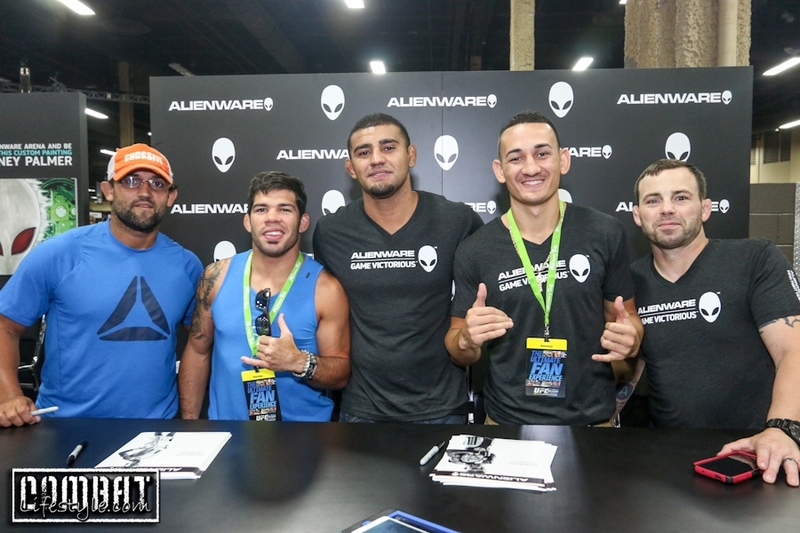 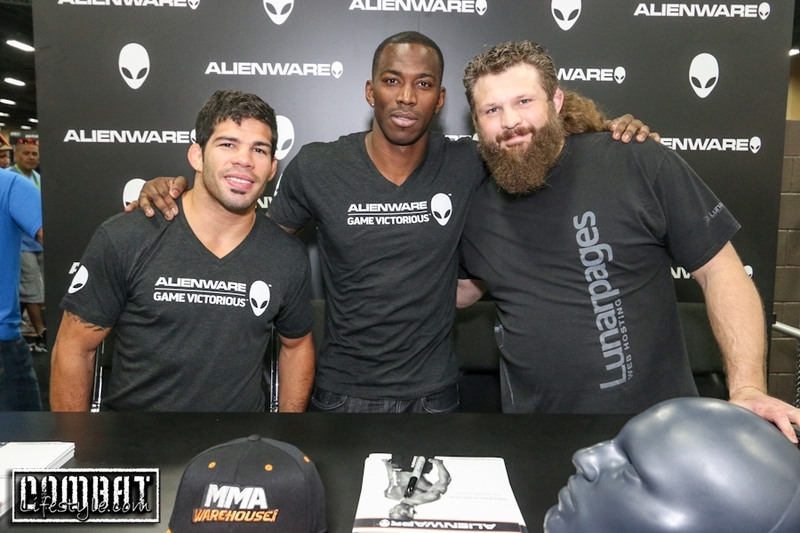 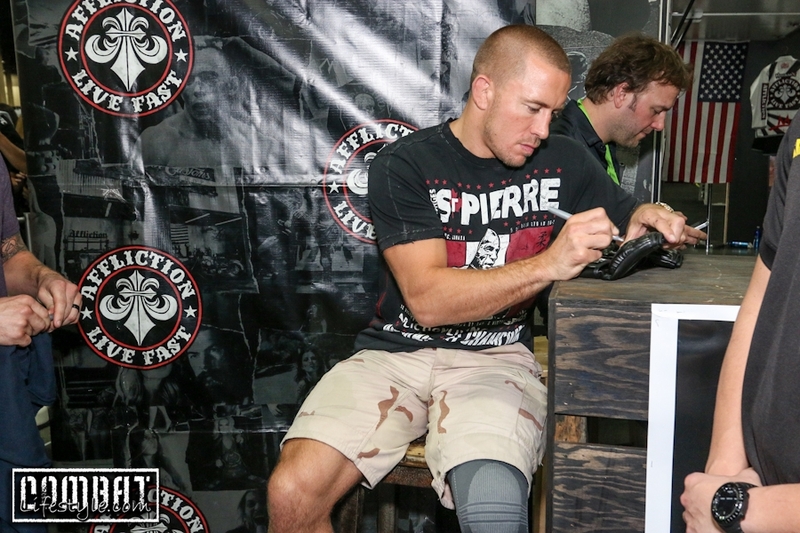 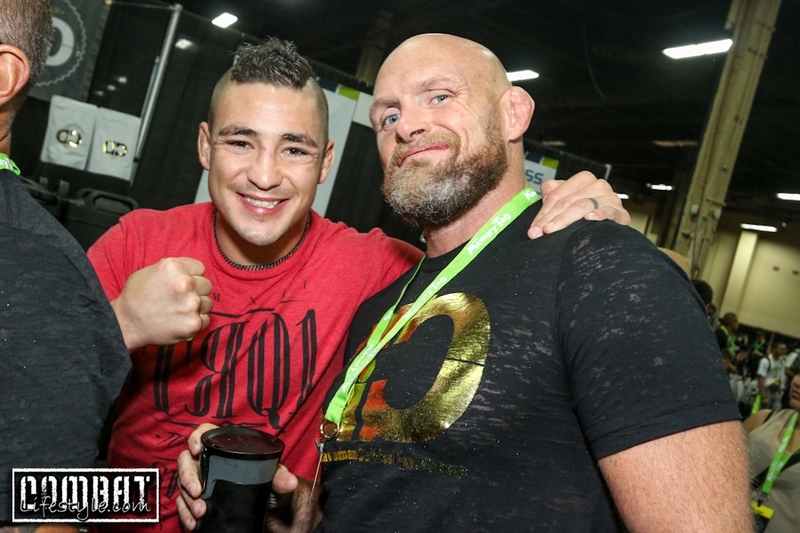 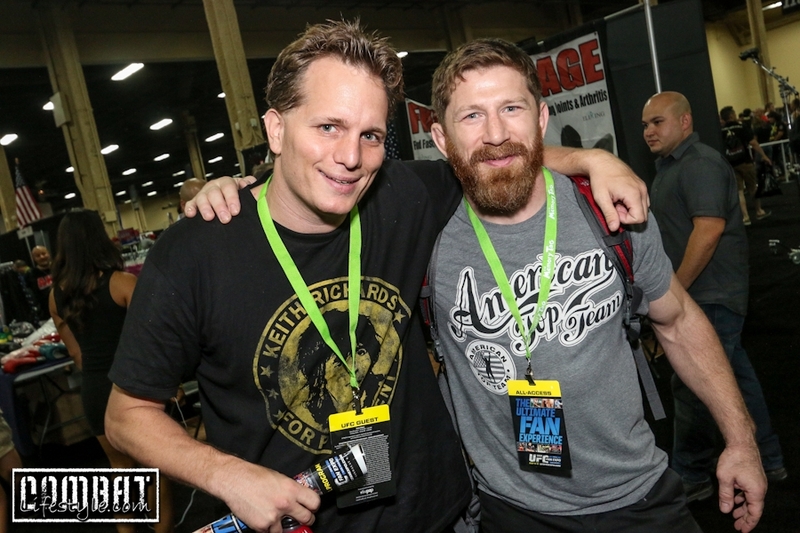 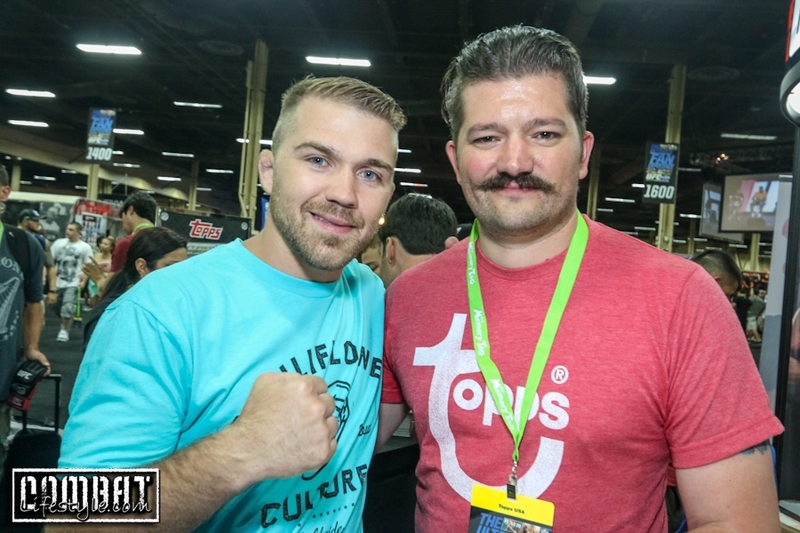 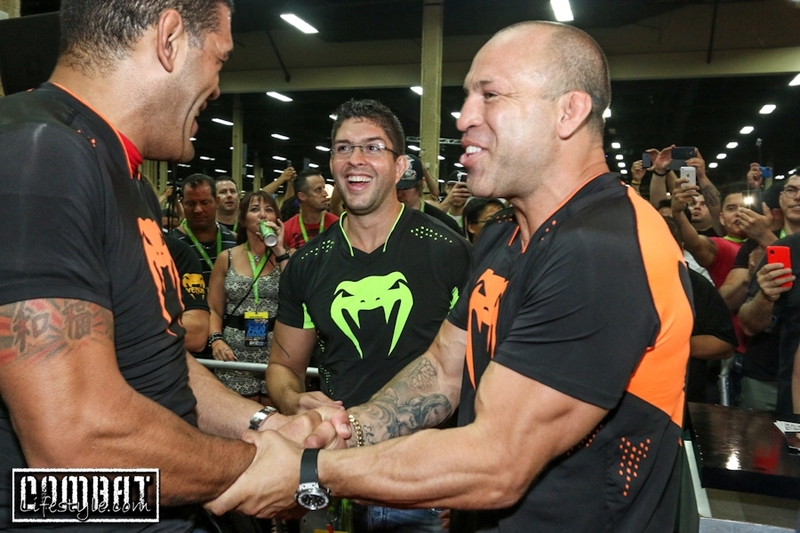 UFC Fan Expo 2014 Pics Day 1 are now up! 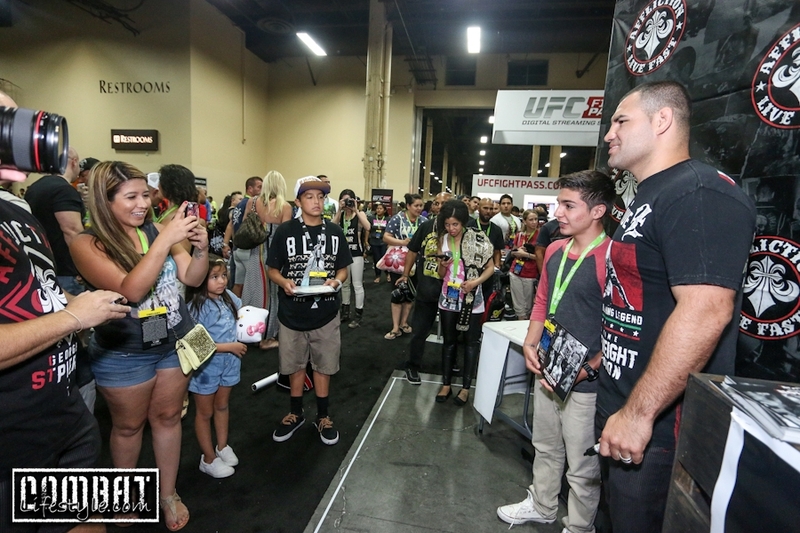 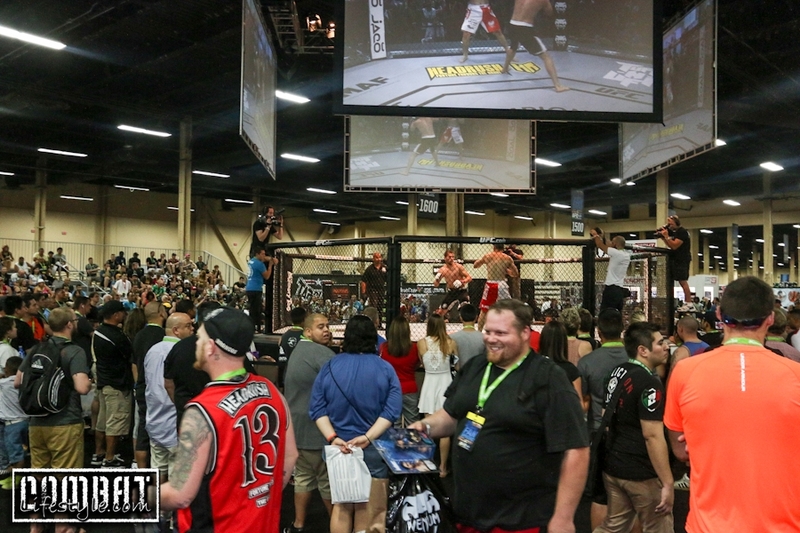 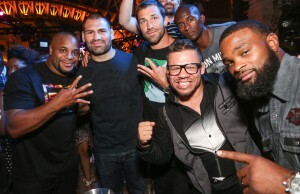 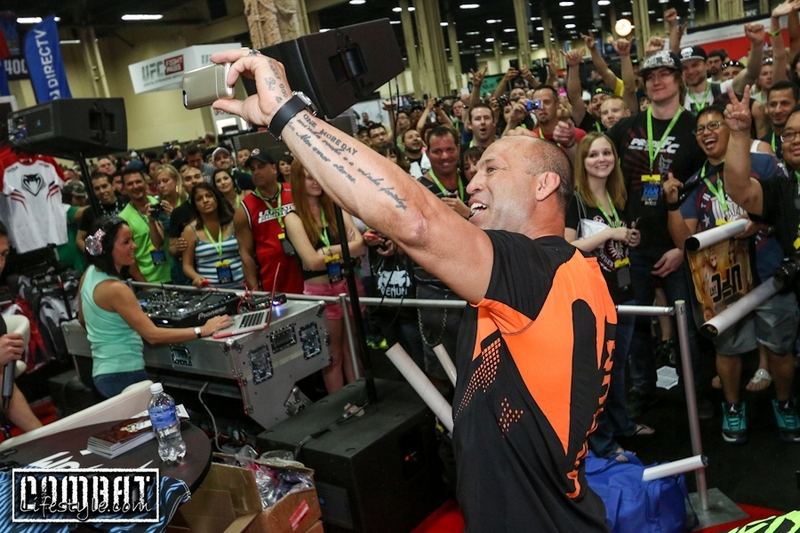 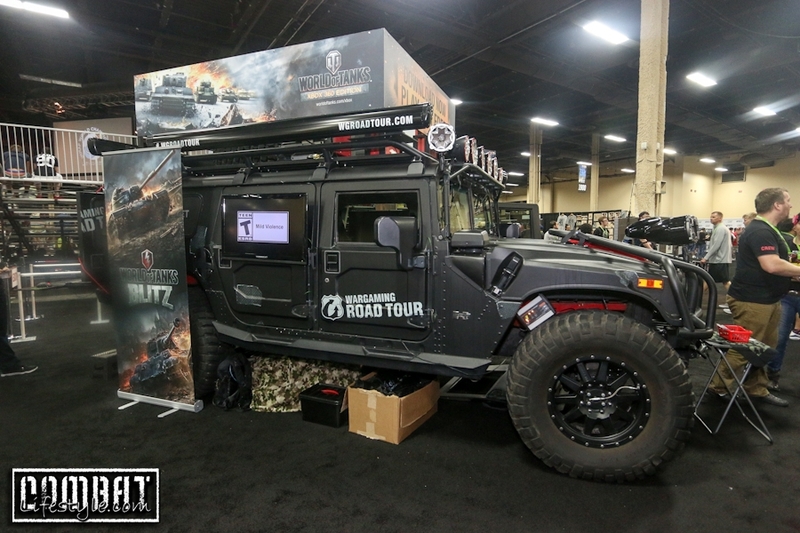 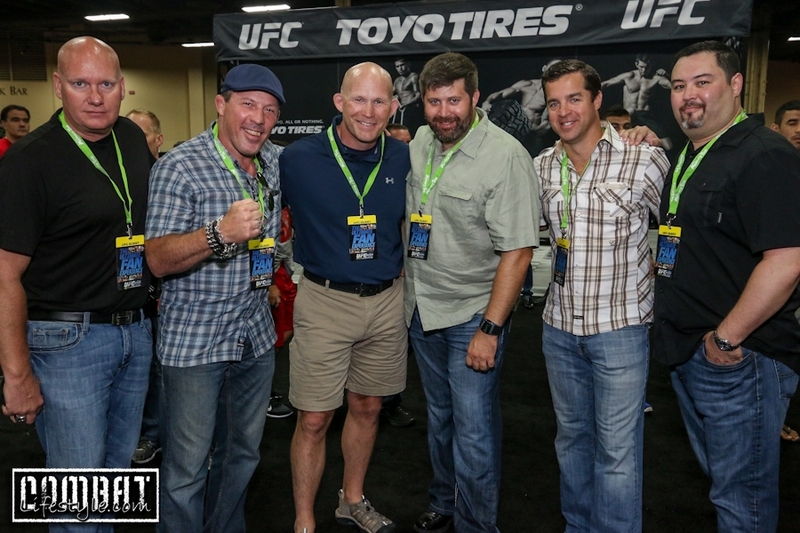 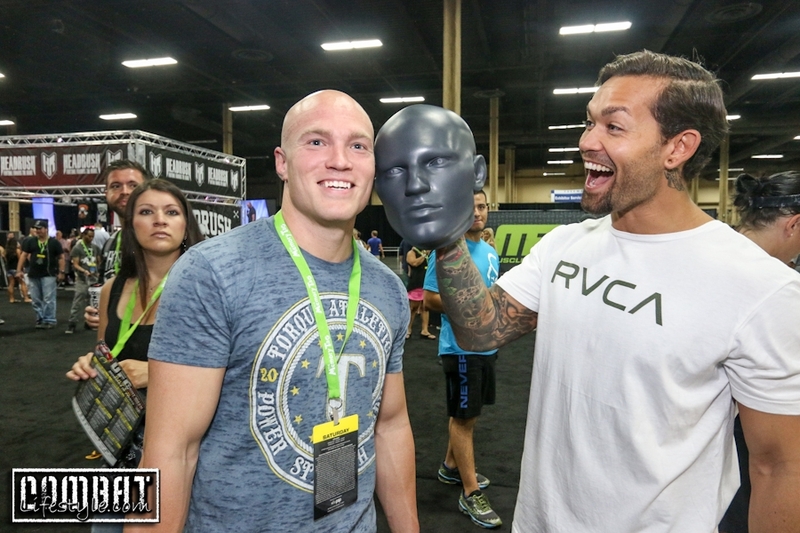 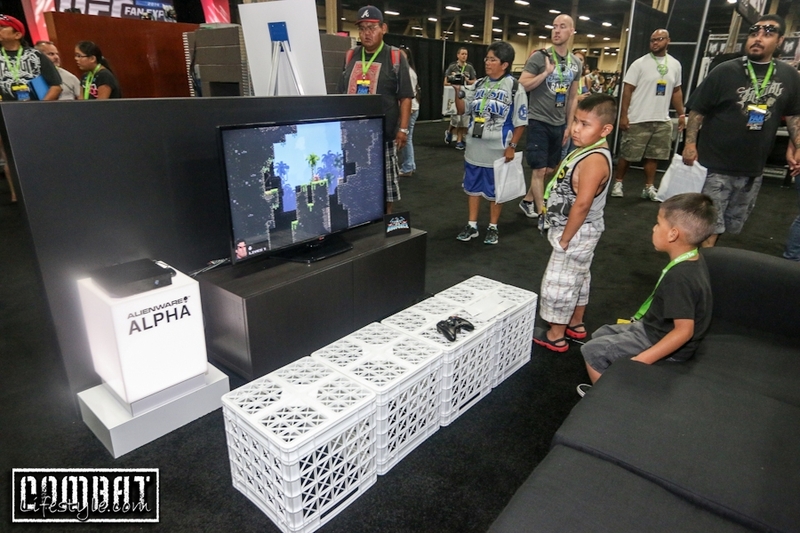 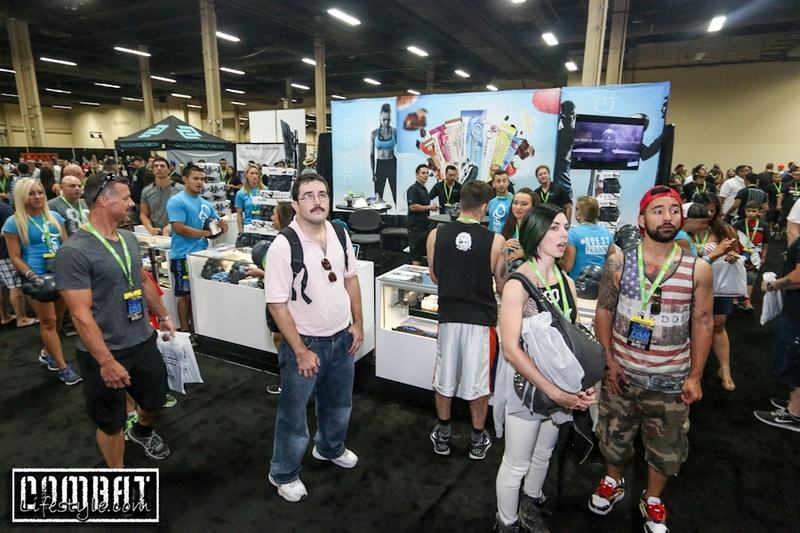 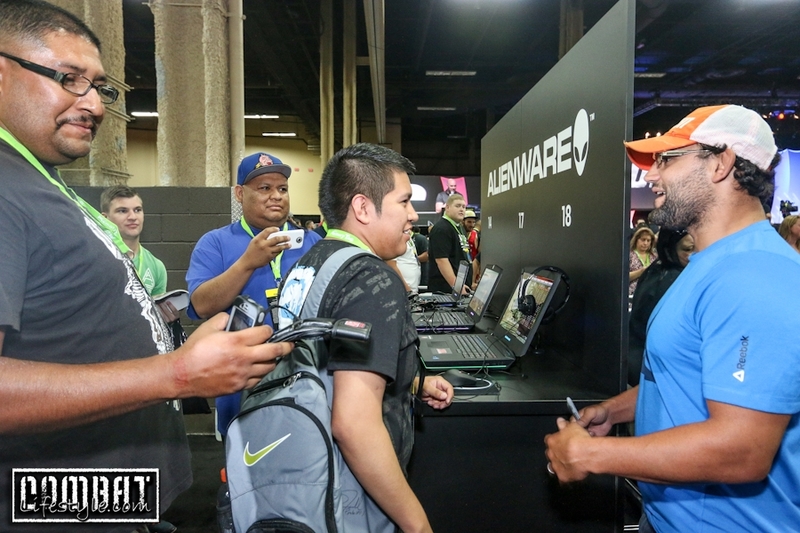 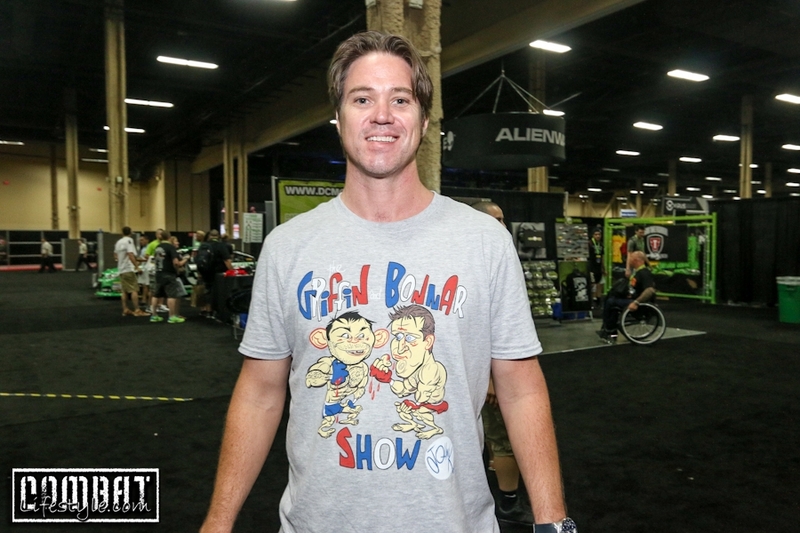 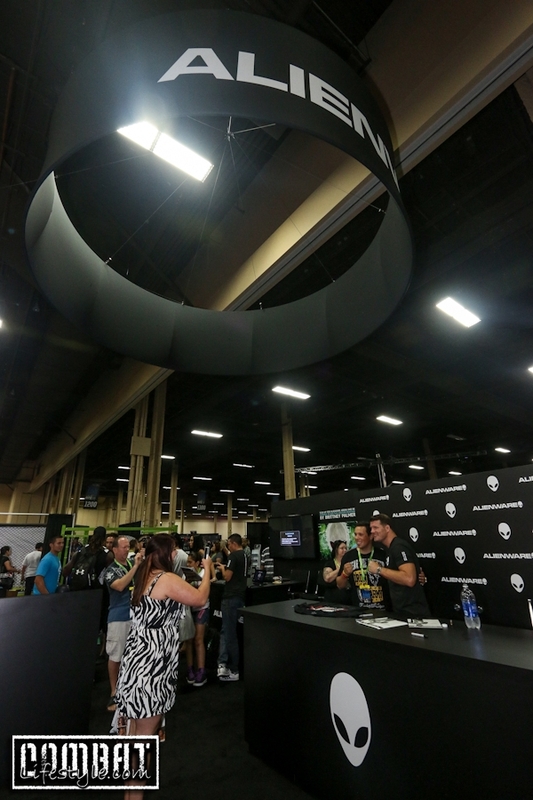 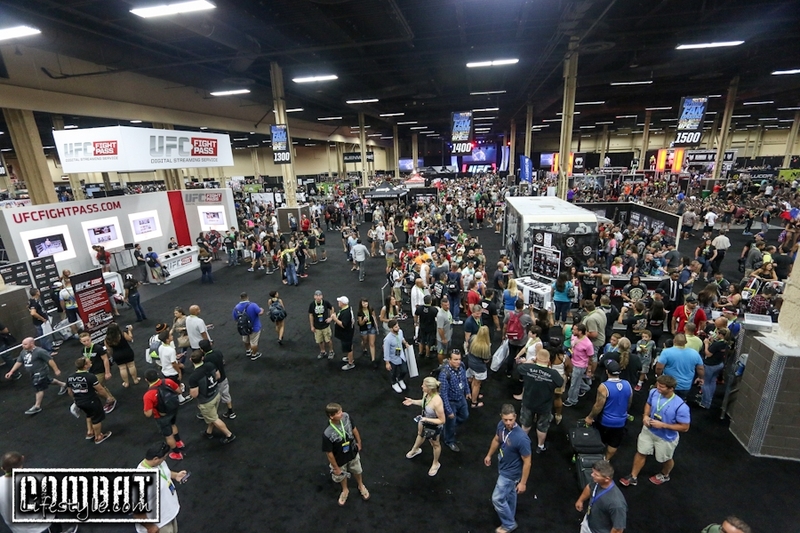 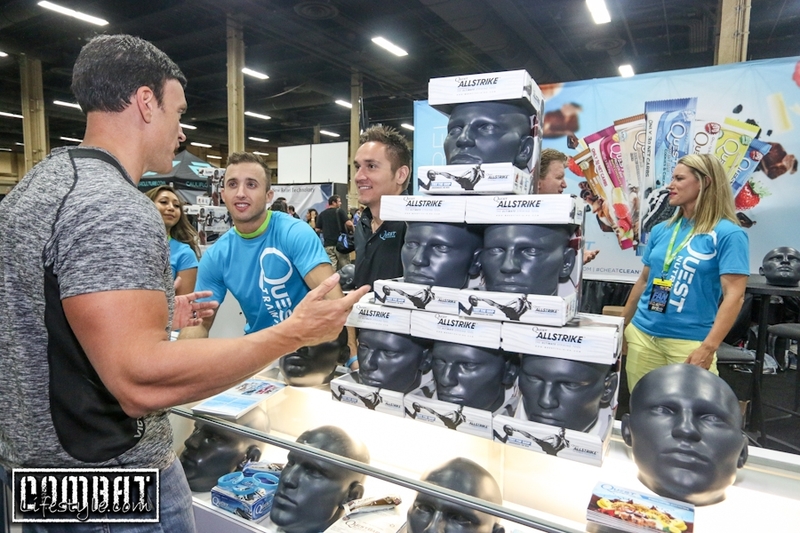 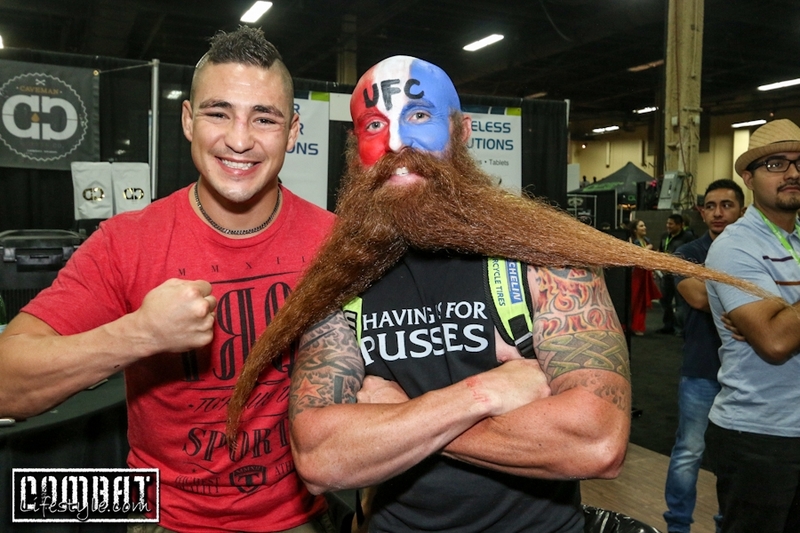 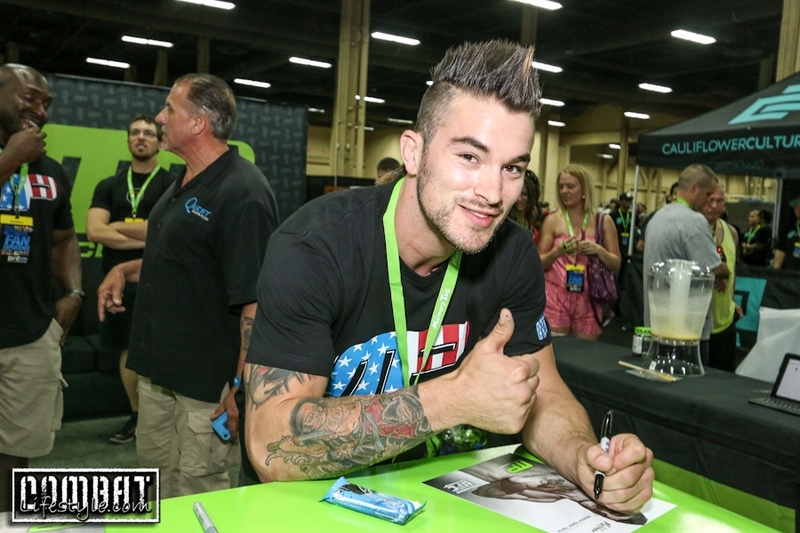 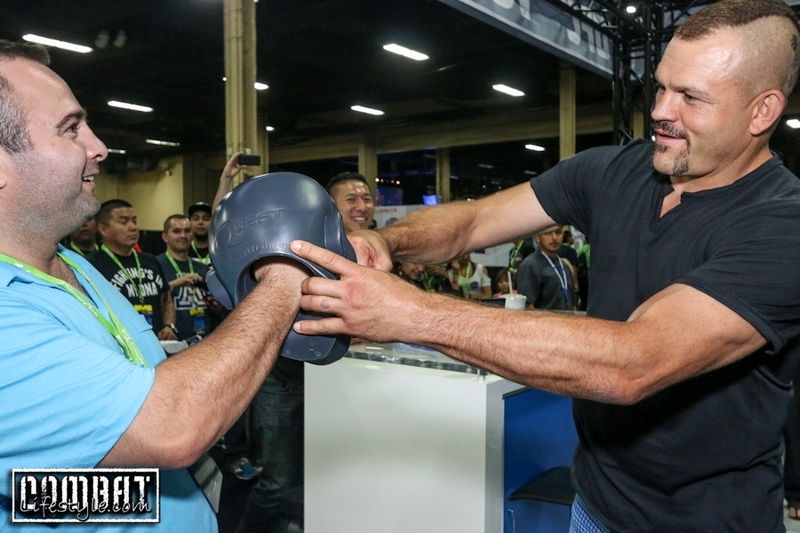 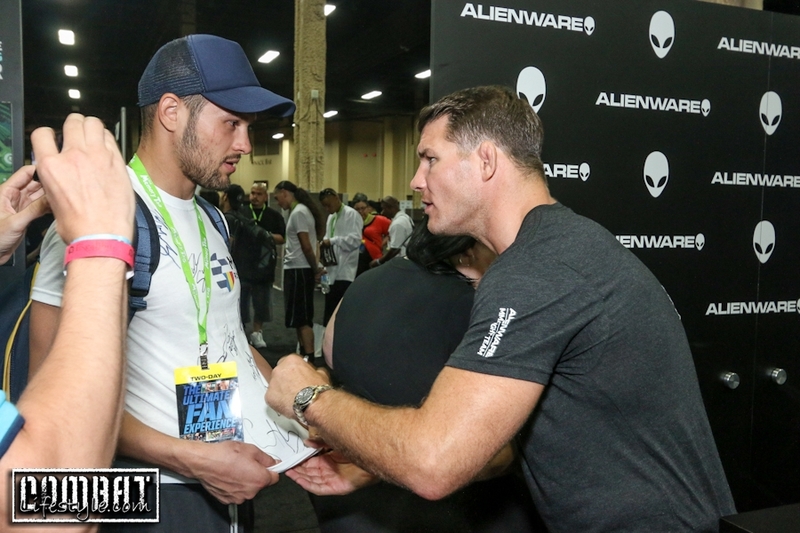 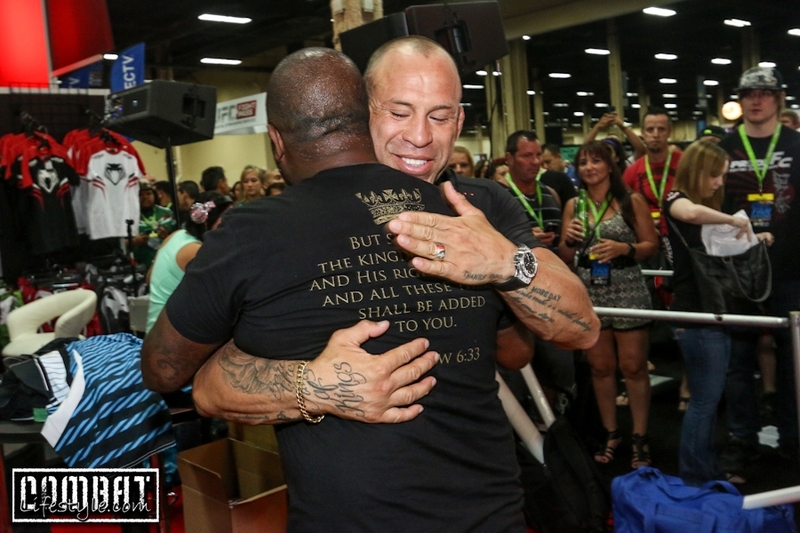 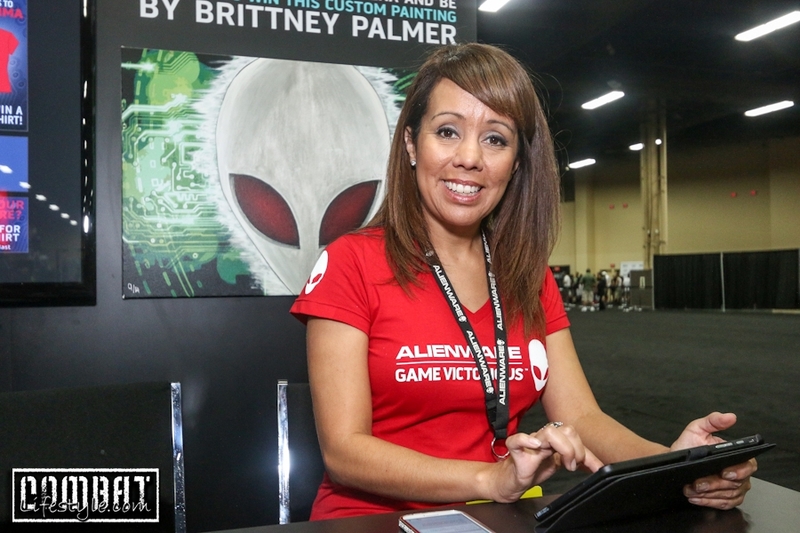 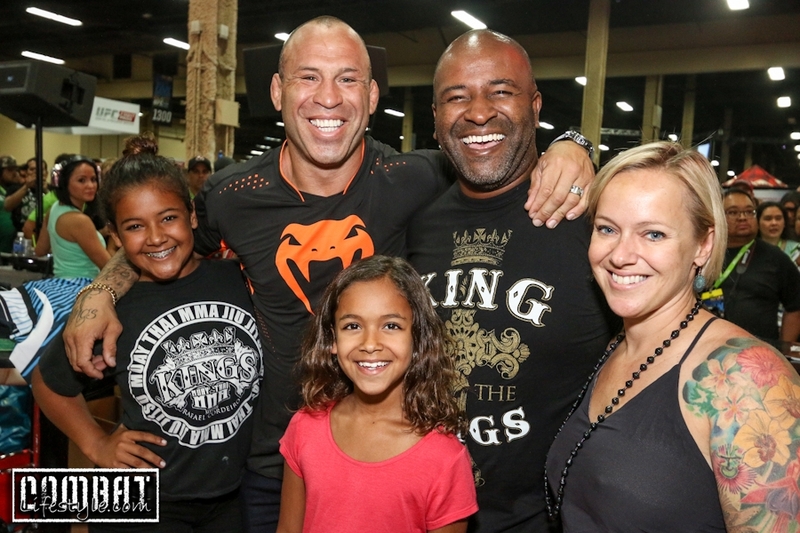 UFC Fan Expo in Las Vegas is always a fun time, and the one for UFC 175 was no different. 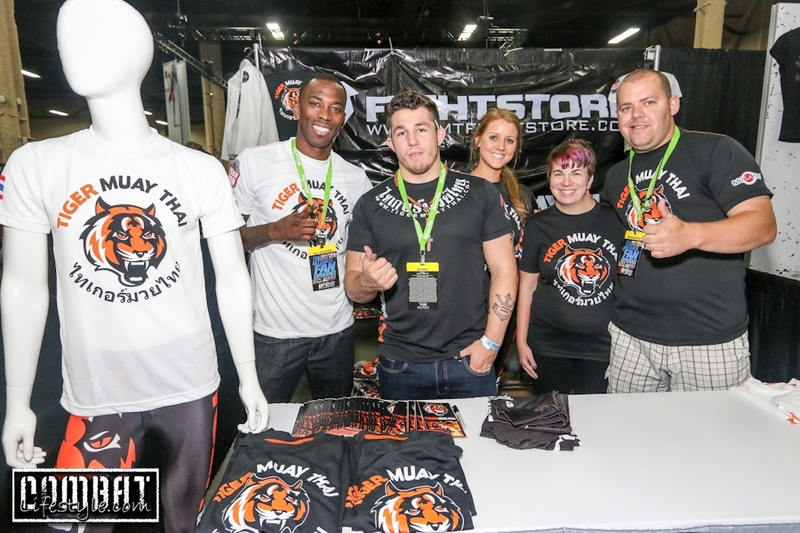 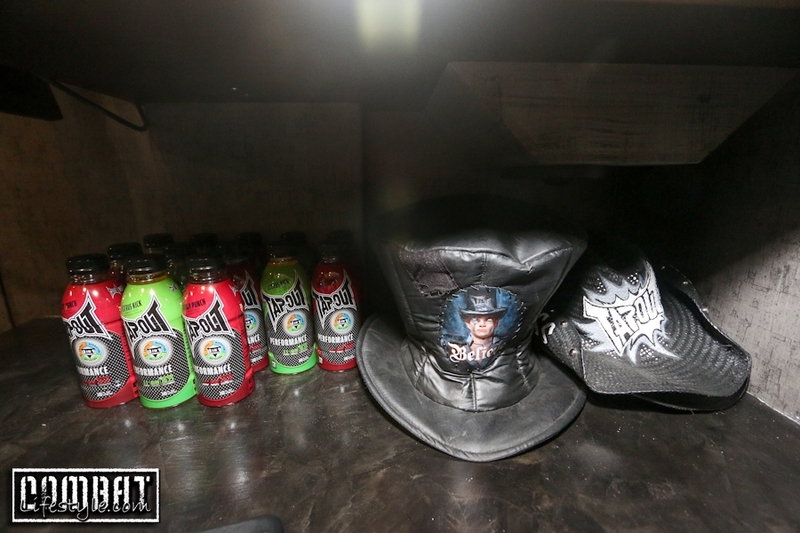 Tons of MMA companies were on hand to sell the newest, latest and greatest. 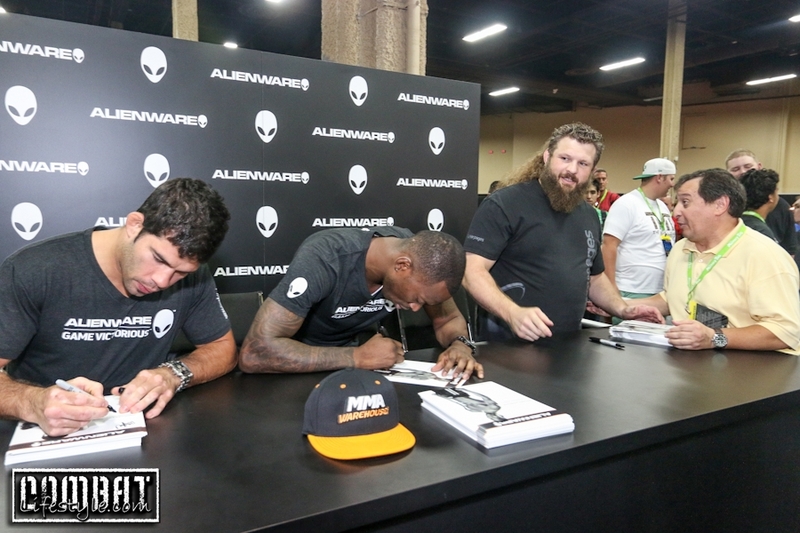 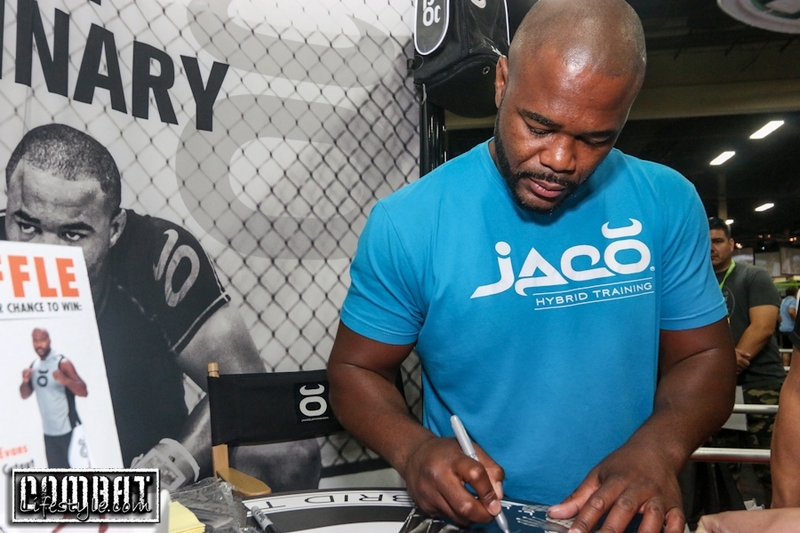 Fighters were signing autographs, there was Grappler’s Quest, the MMA Draft Combine, and more! 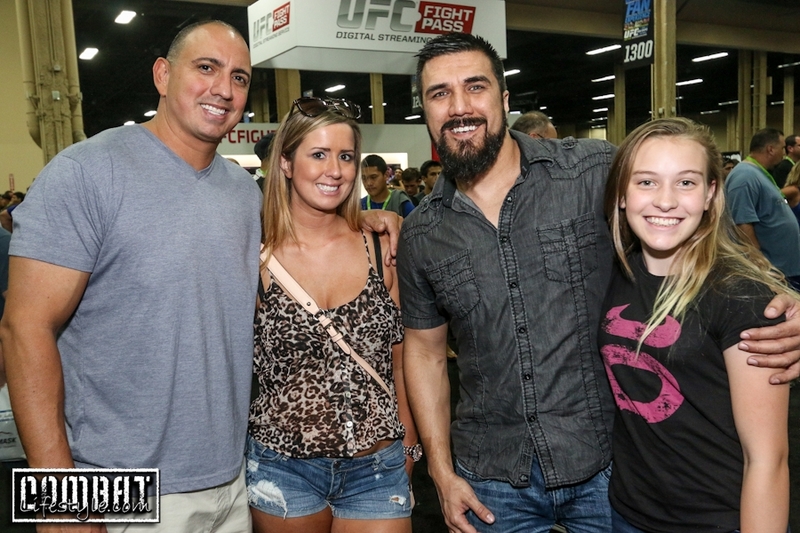 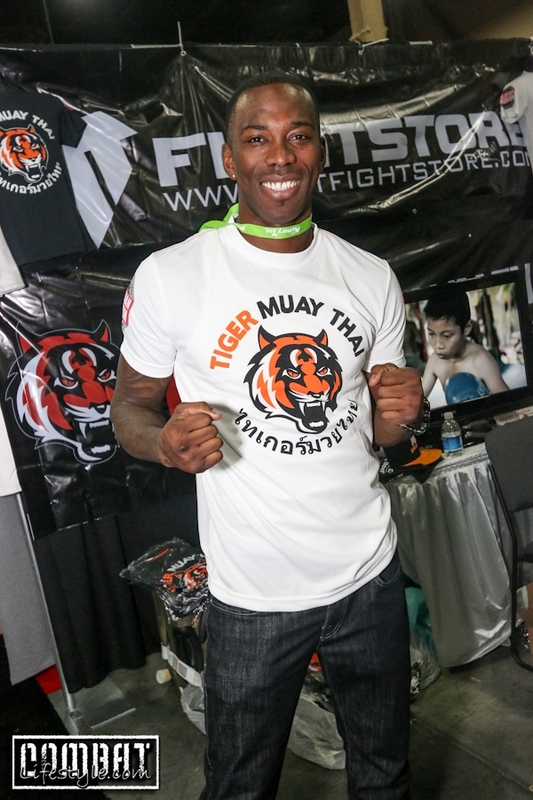 We ran around from booth to booth catching photos of your favorite fighters and MMA personalities! 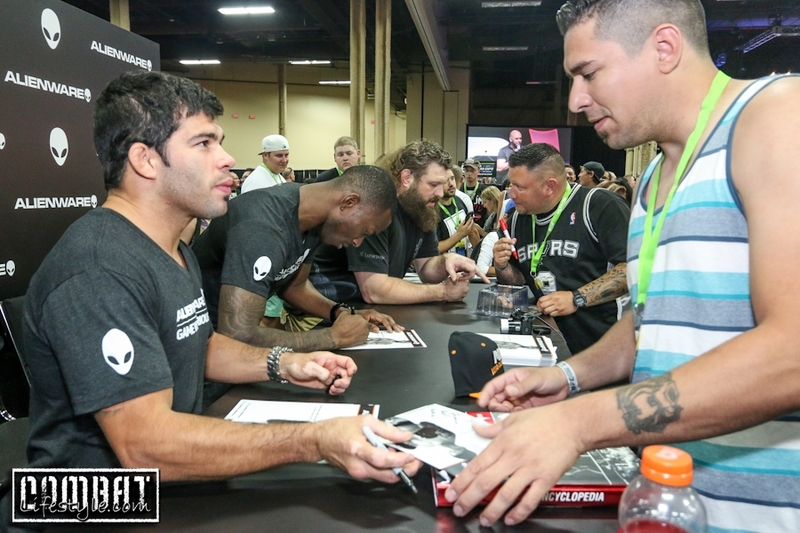 Fighters and companies we spotted included comedian Adam hunter of MMA Roasted, Alex Karalexis, Alienware, Allstrike by Quest Training, Amber Nichole Miller, Amir Sadollah, Anthony Njokuani, Lightweight Champ Anthony Pettis, Antonio Silva, Brandon Thatch, Bryan Caraway, Heavyweight Champ Cain Velasquez, TUF 18 Winner Chris Holdsworth, Chuck Liddell, Court Mcgee, Diego Sanchez, Douglas Lima, Duane Ludwig, Forrest Griffin, Georges St Pierre, Jamie Varner, model Janey Lee, Jens Pulver, Joe Lauzon, Welterweight Champ Johnny Hendricks, Keith Jardine, Physique Olympia Champ Mark Anthony Flex, Max Holloway, Michael Bisping, Mike Brown, Miriam Nakamoto, Quest Nutrition, Rafael Assuncao, Rafael Cordeiro, Rashad Evans, Ricardo Liborio of ATT, Rich Franklin, Rockwell Watches, Roy Nelson, Scott Epstein, Stephan Bonnar, Tapout Punkass, Tapout Skrape, TIGER MUAY THAI, Tito Ortiz, Topps Trading Cards, Wanderlei Silva, War Gaming, Yves Lavigne and more! 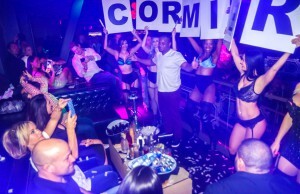 Next Story → Daniel Cormier Proposes on the 4th of July!